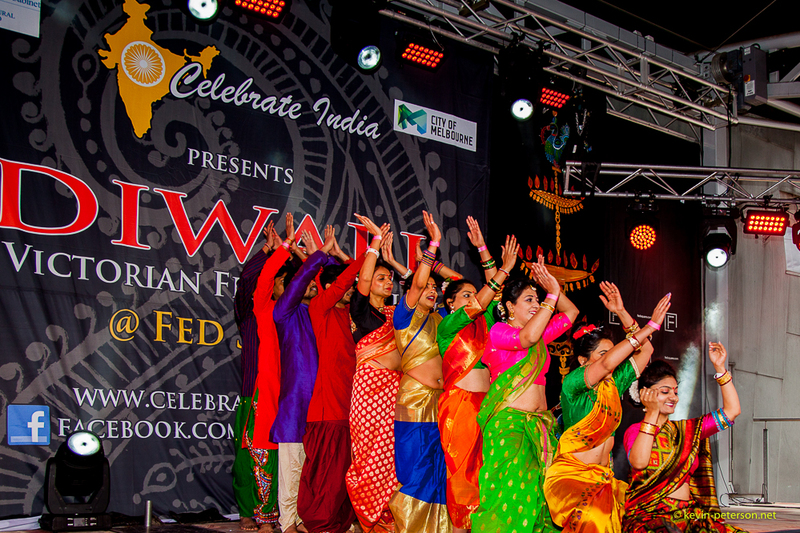 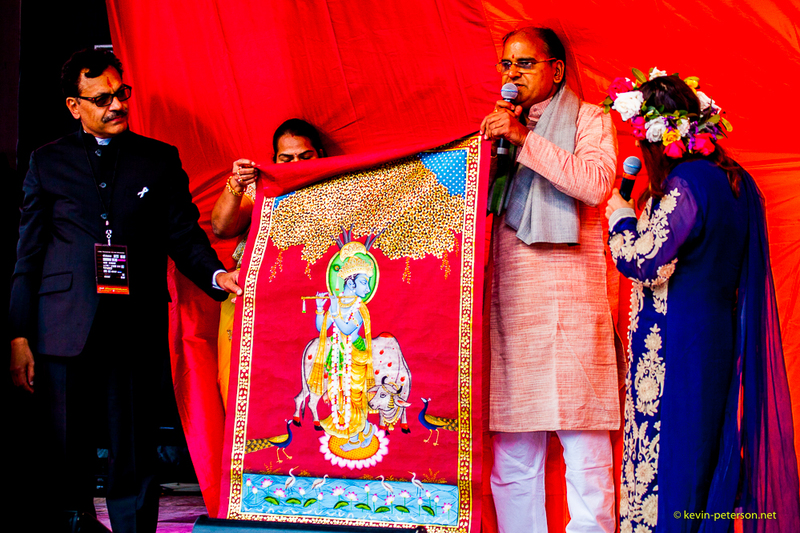 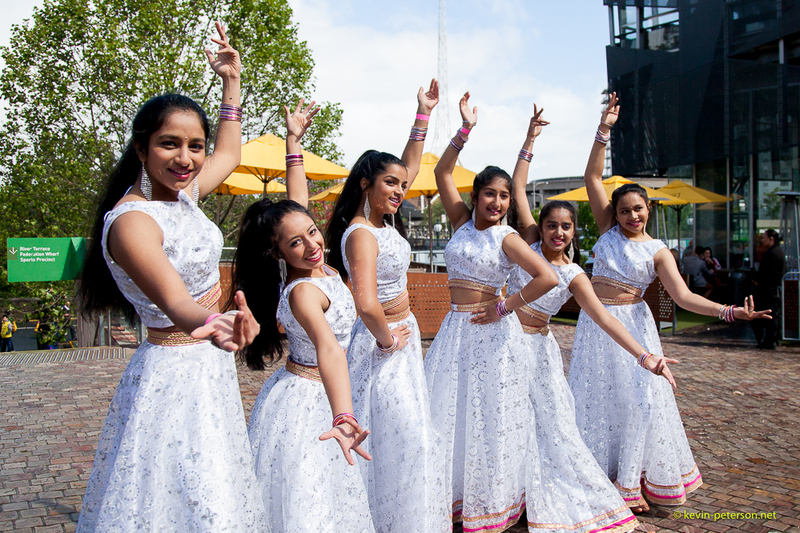 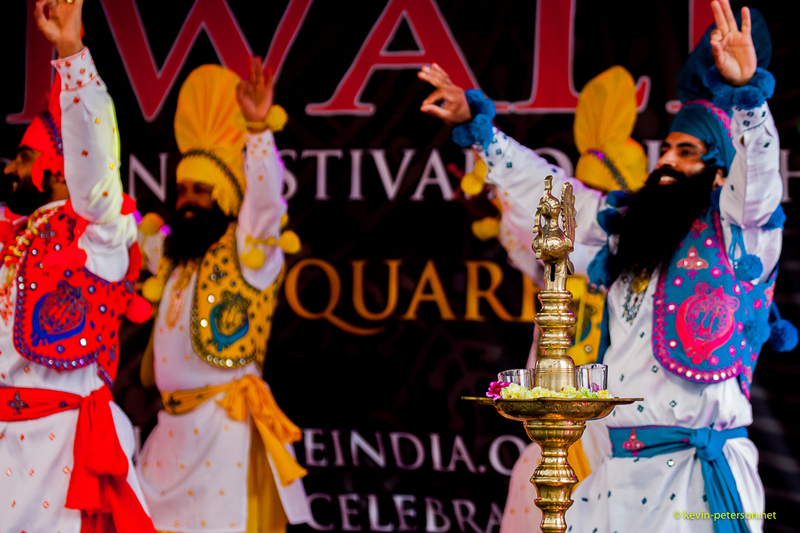 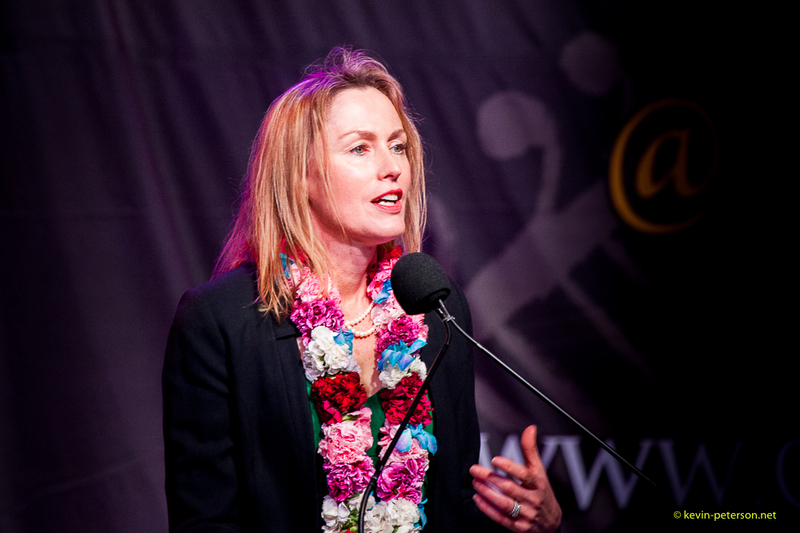 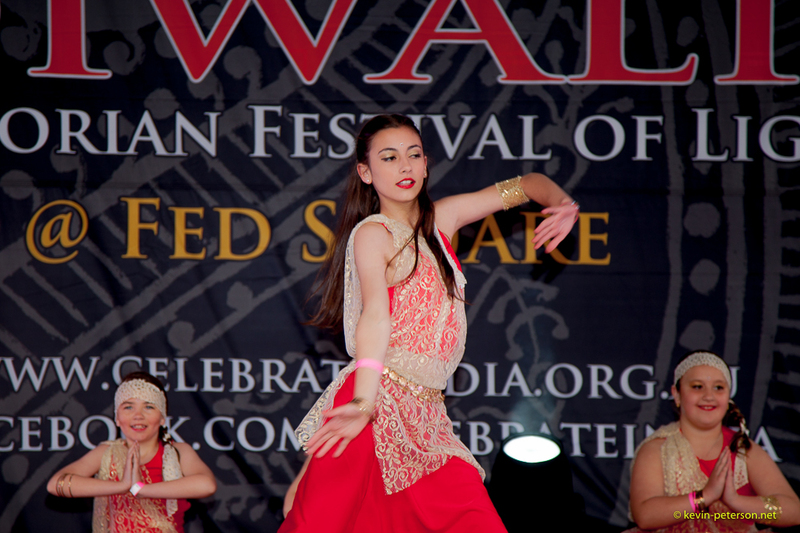 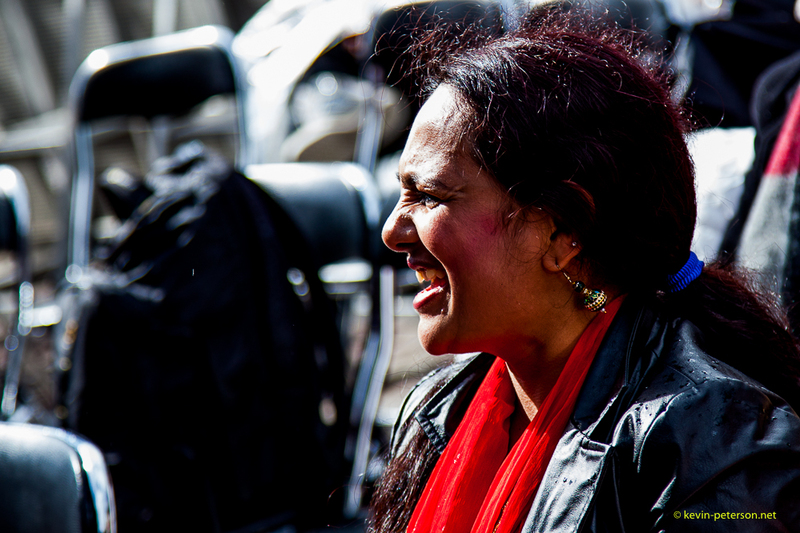 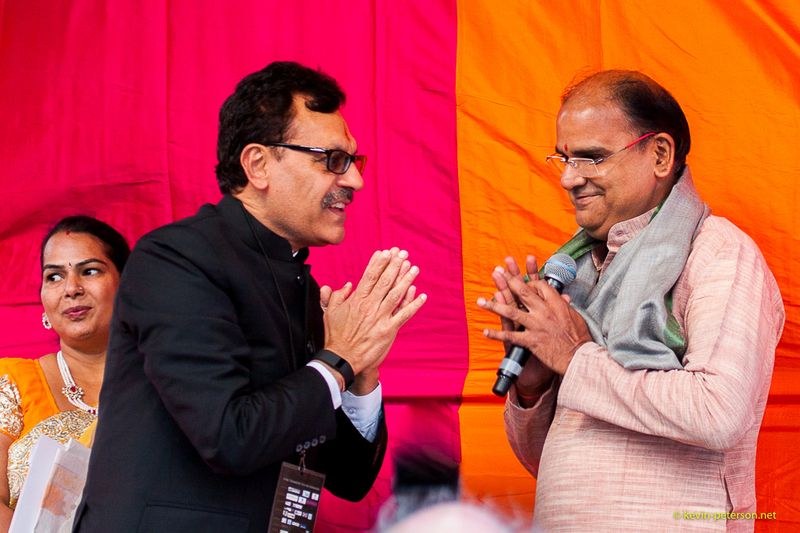 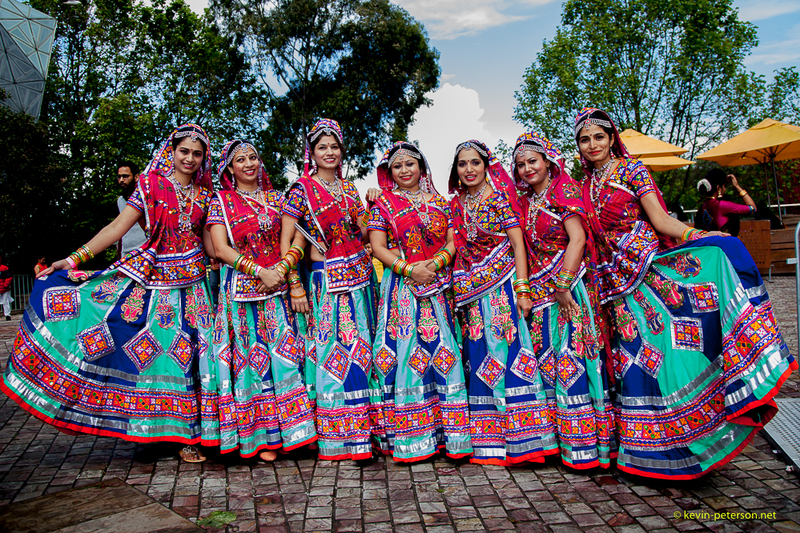 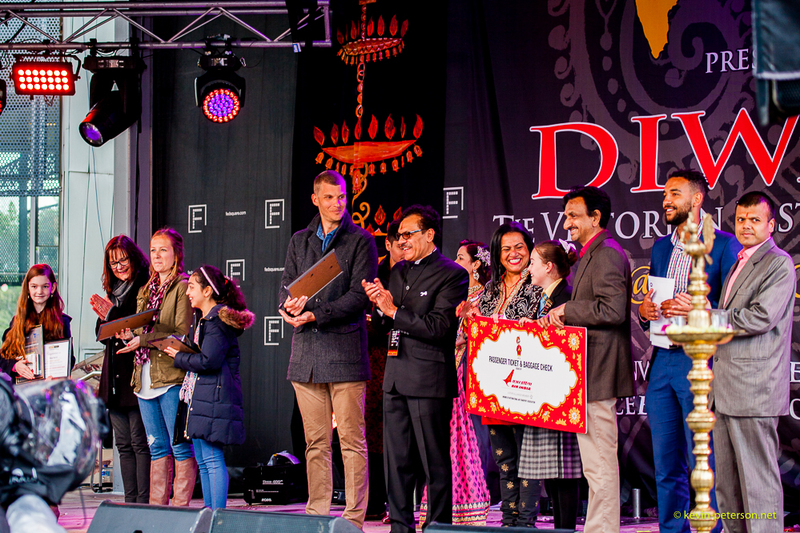 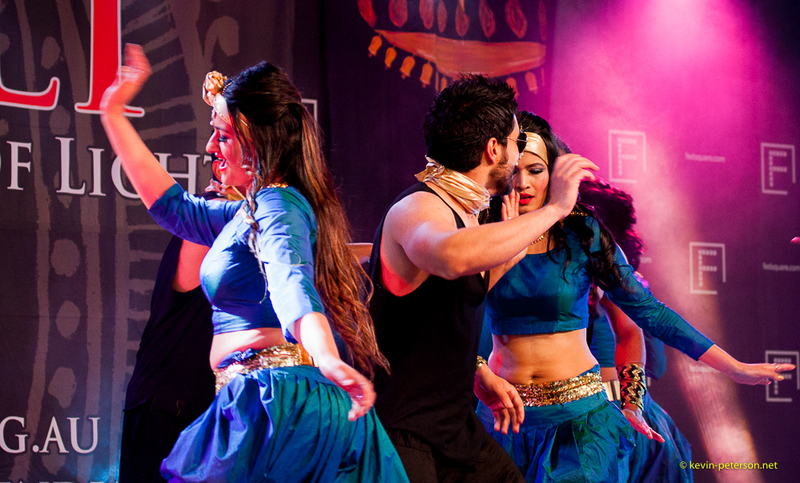 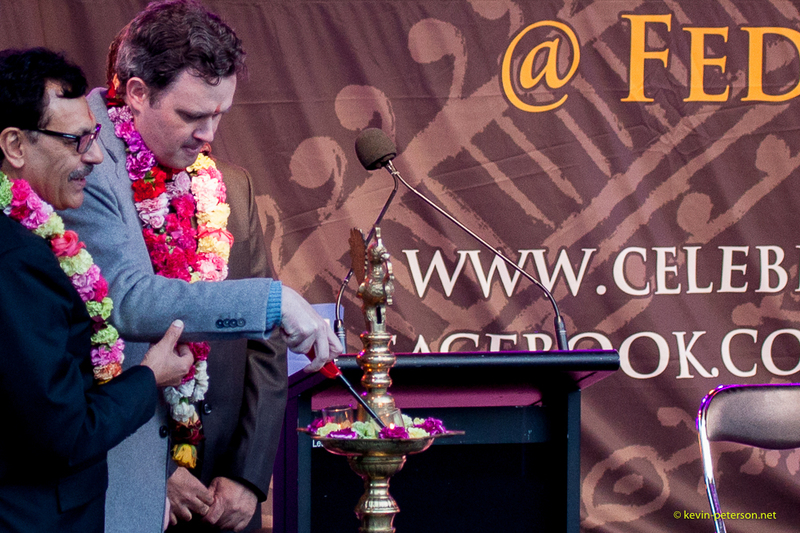 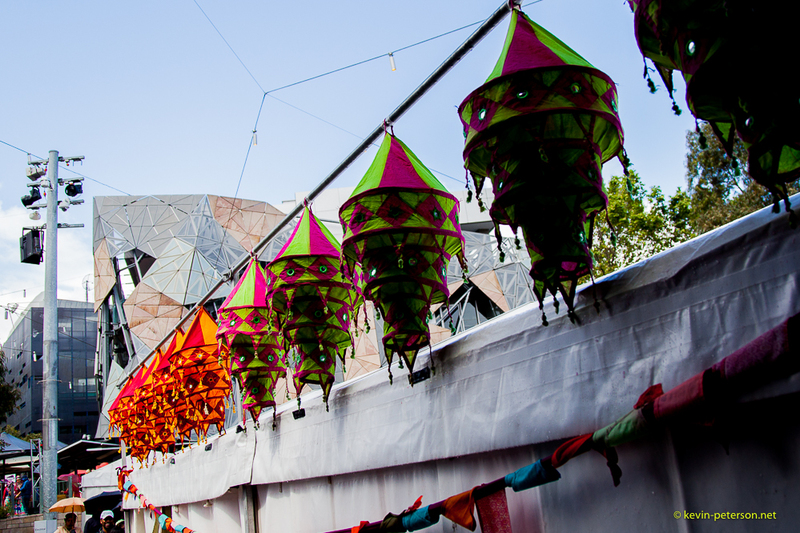 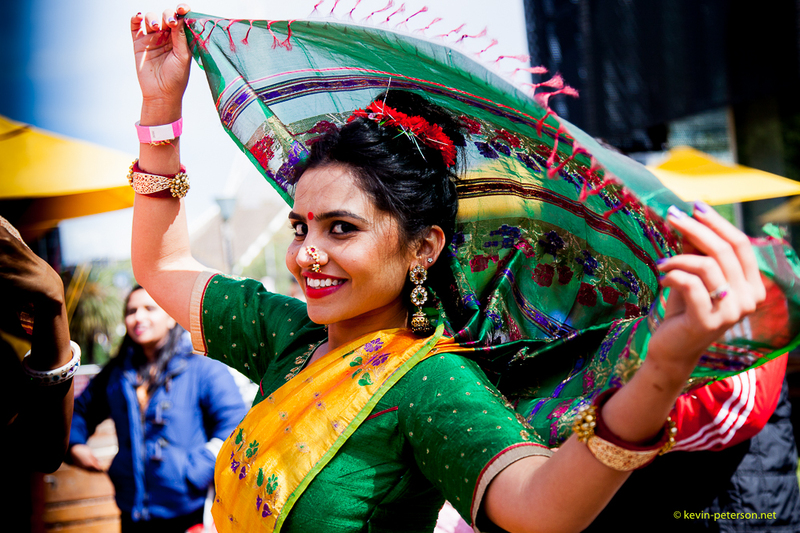 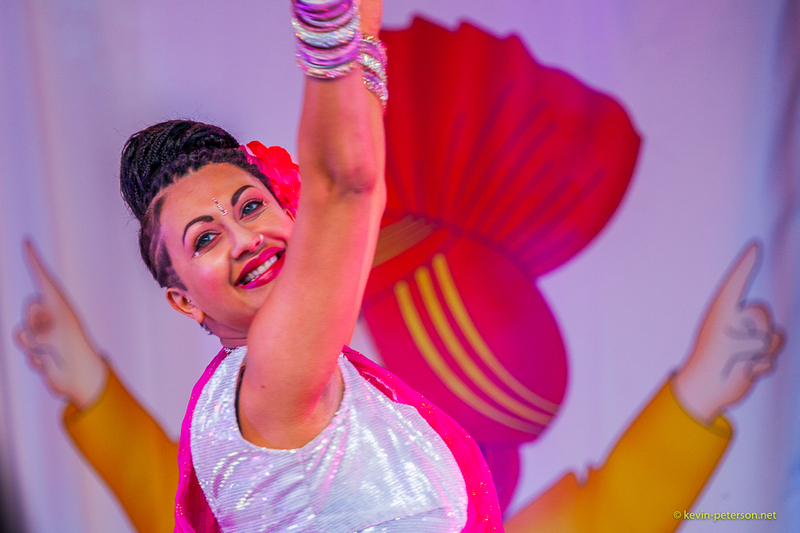 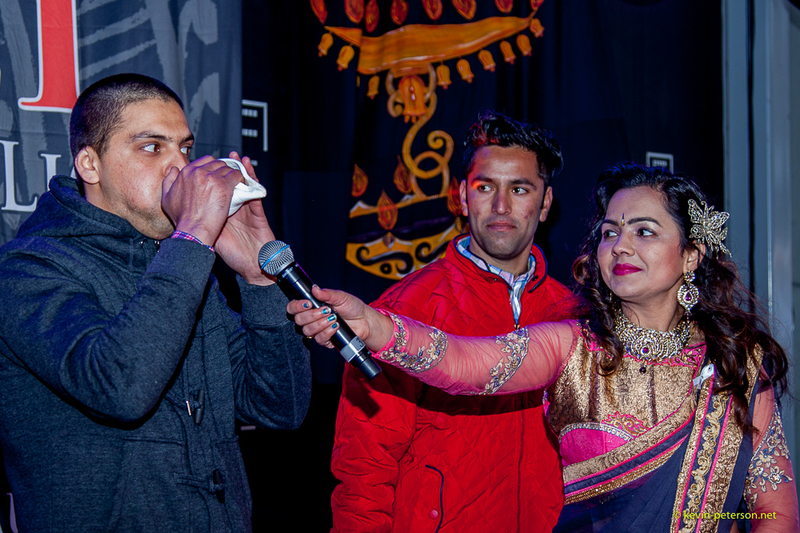 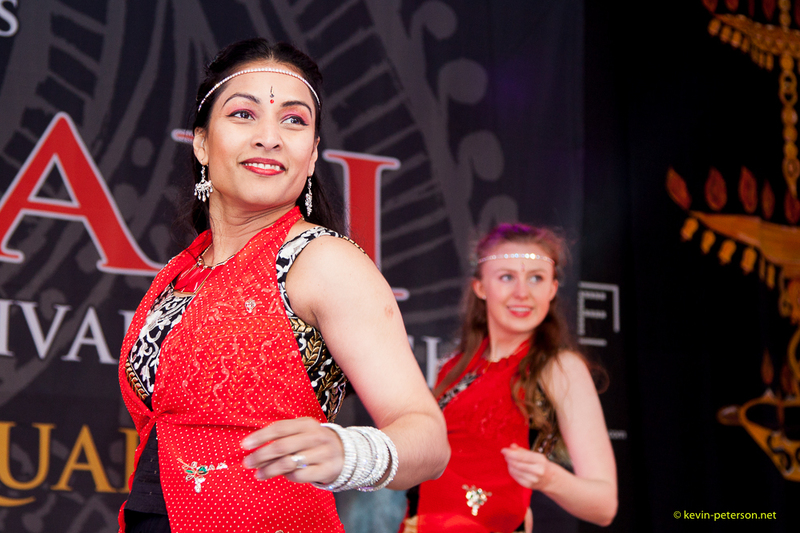 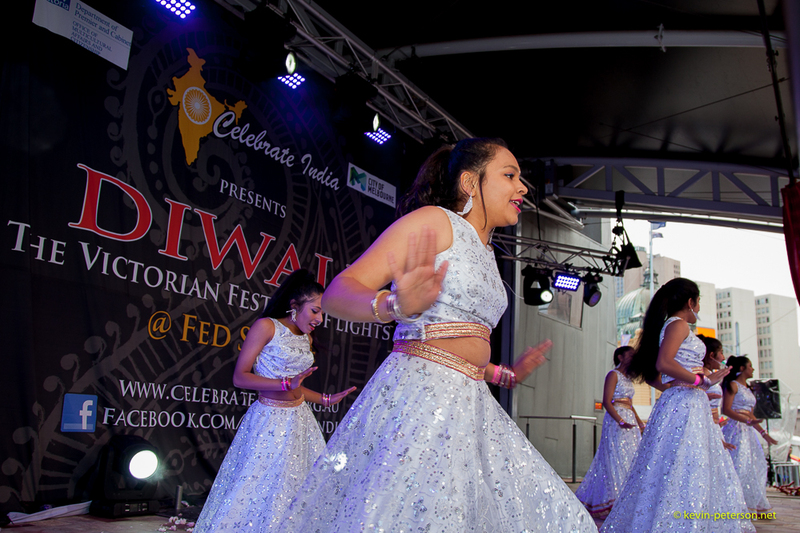 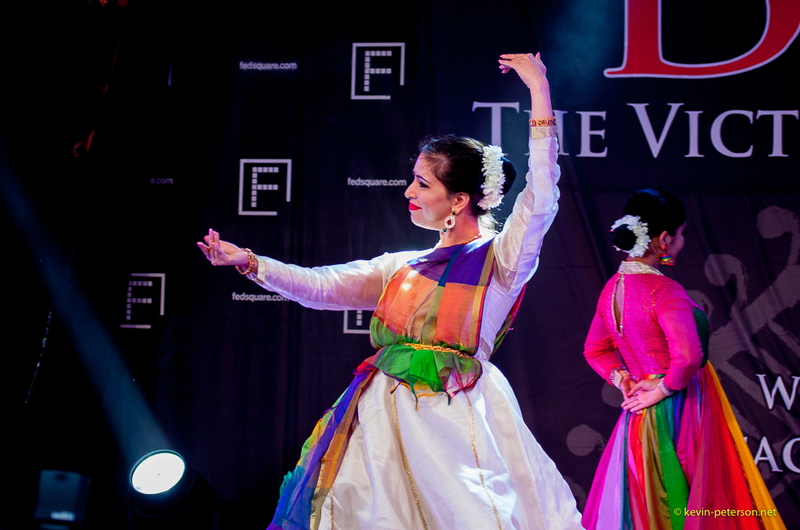 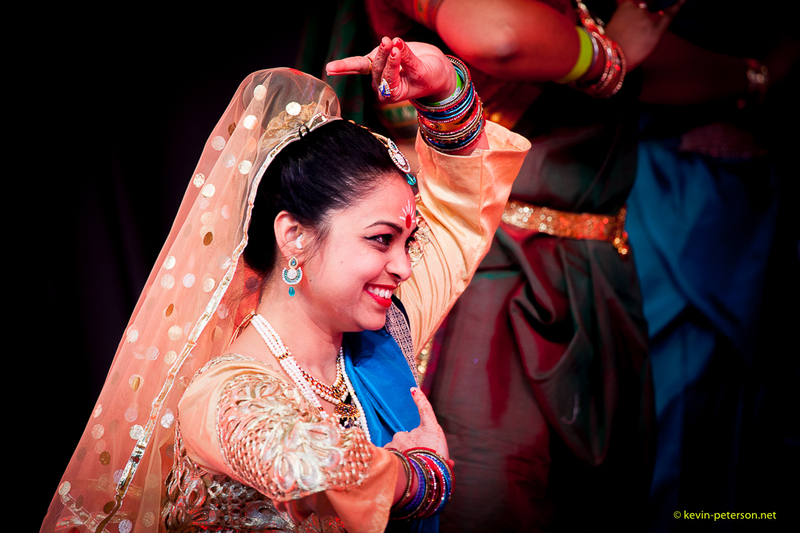 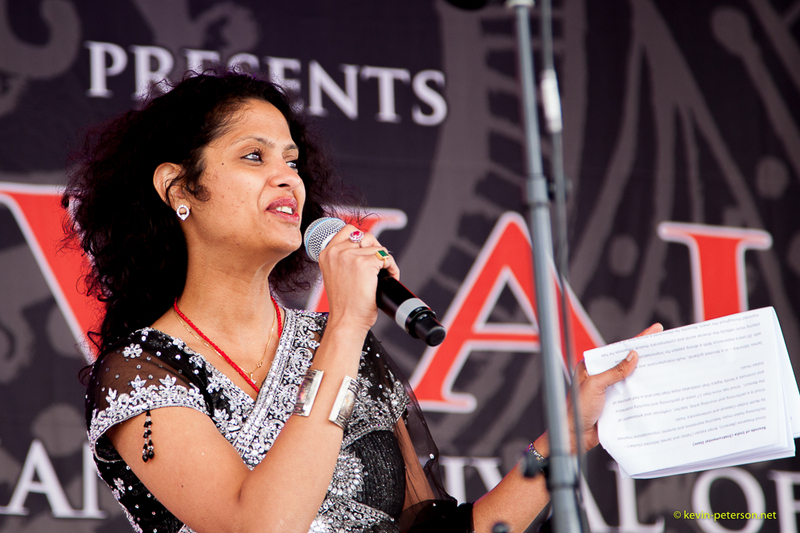 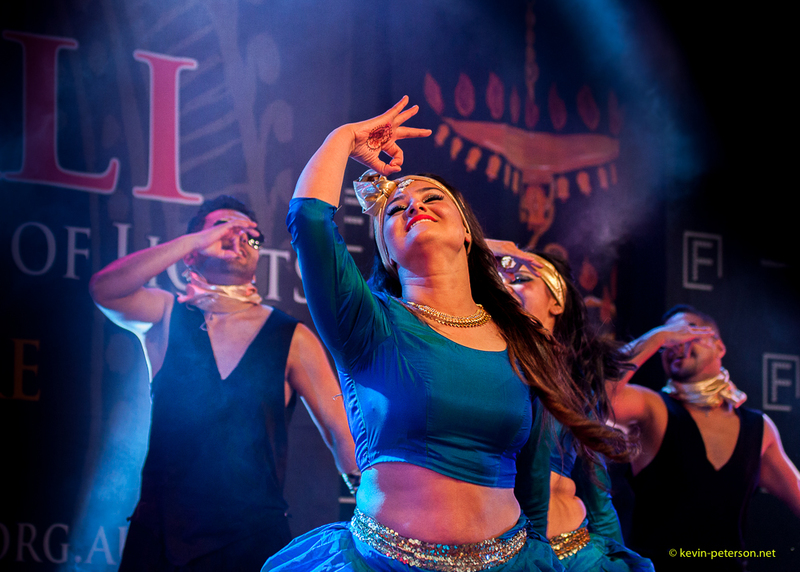 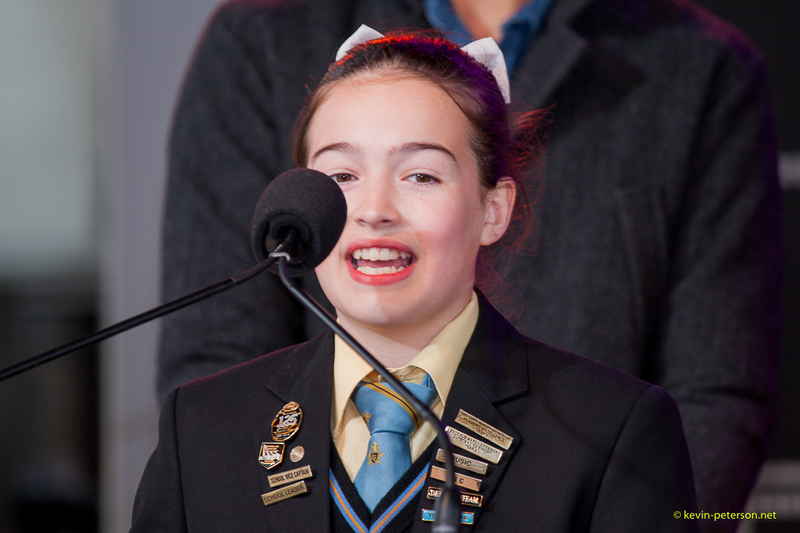 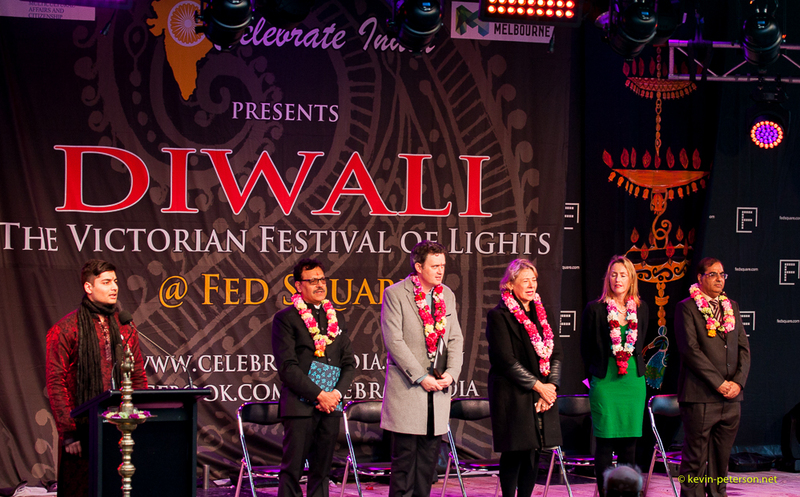 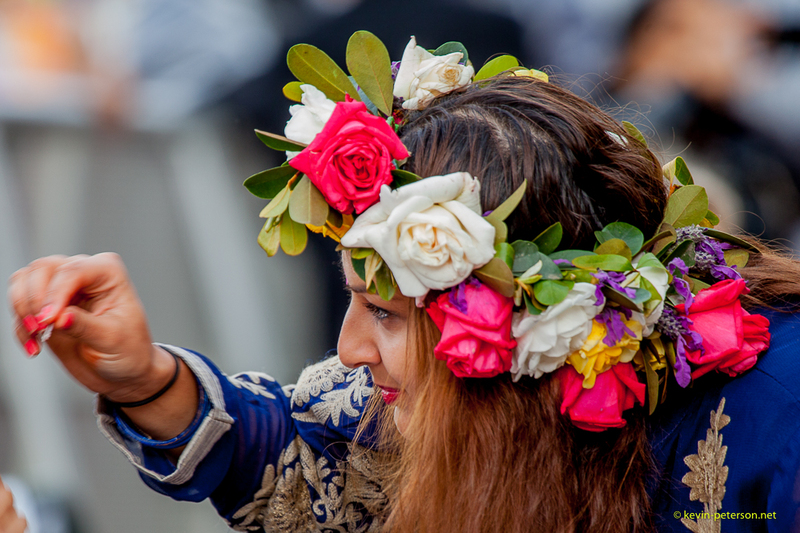 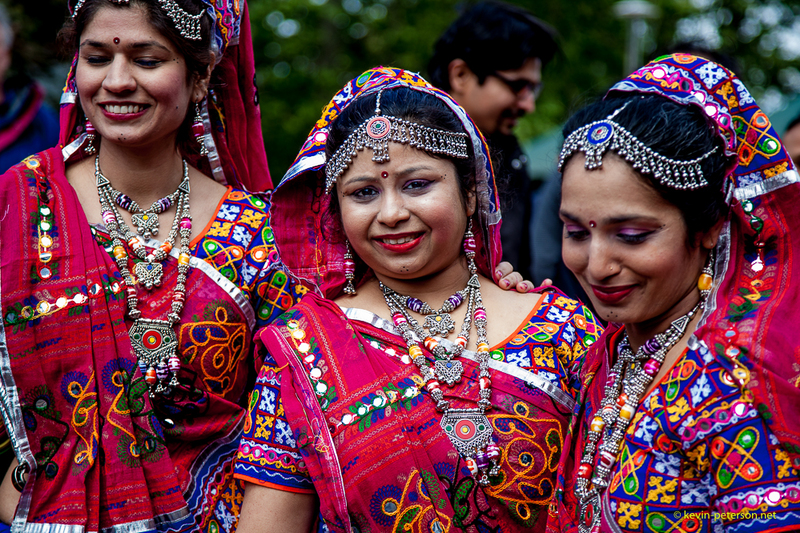 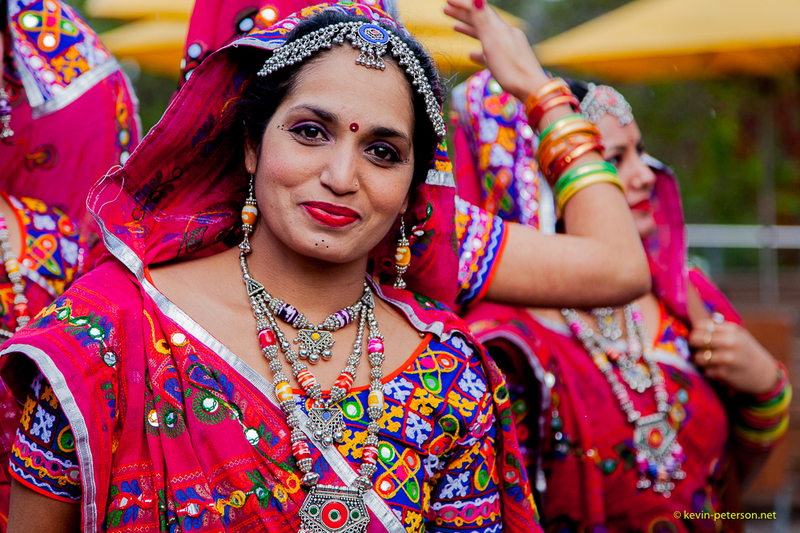 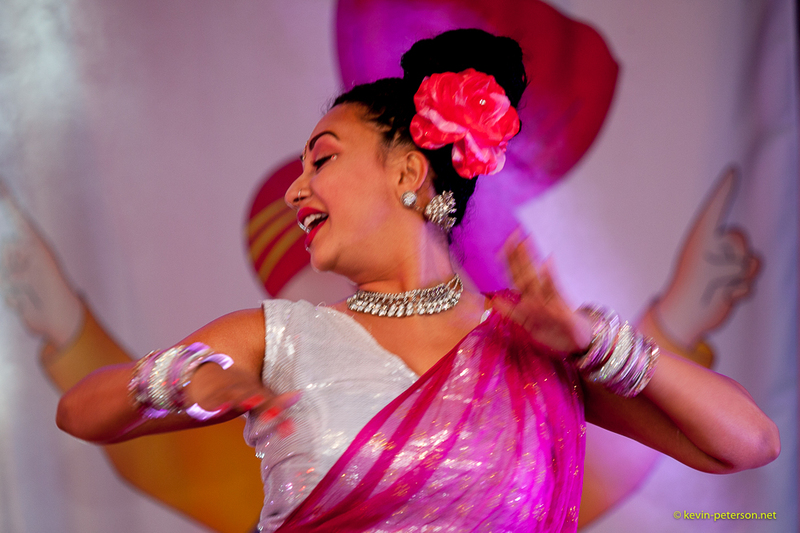 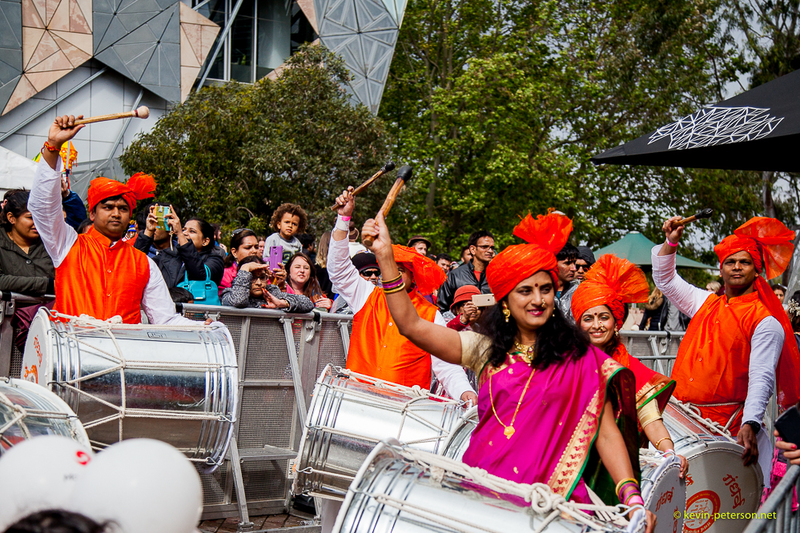 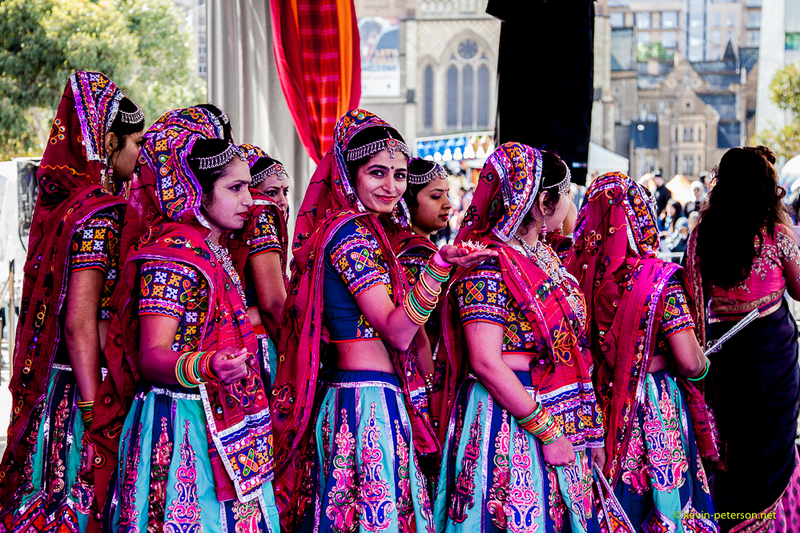 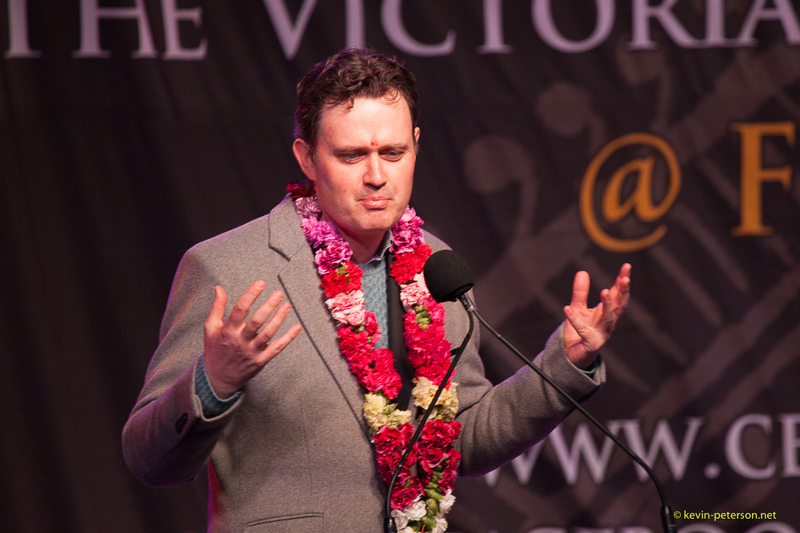 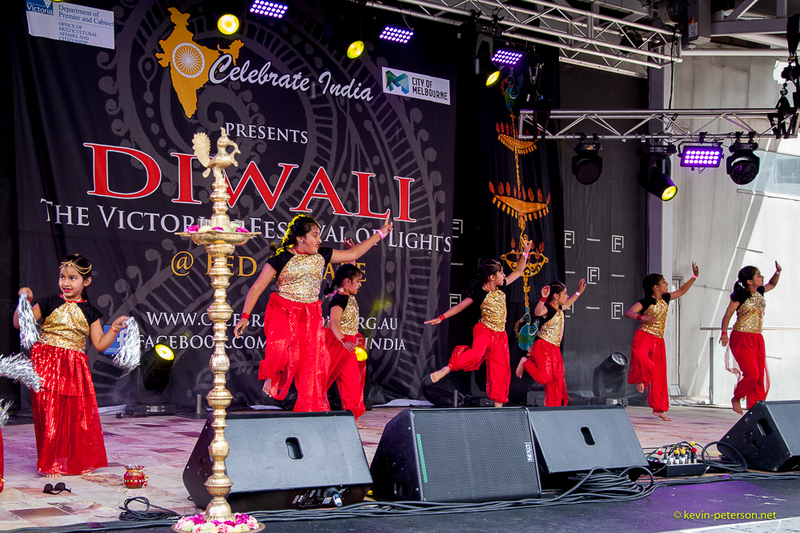 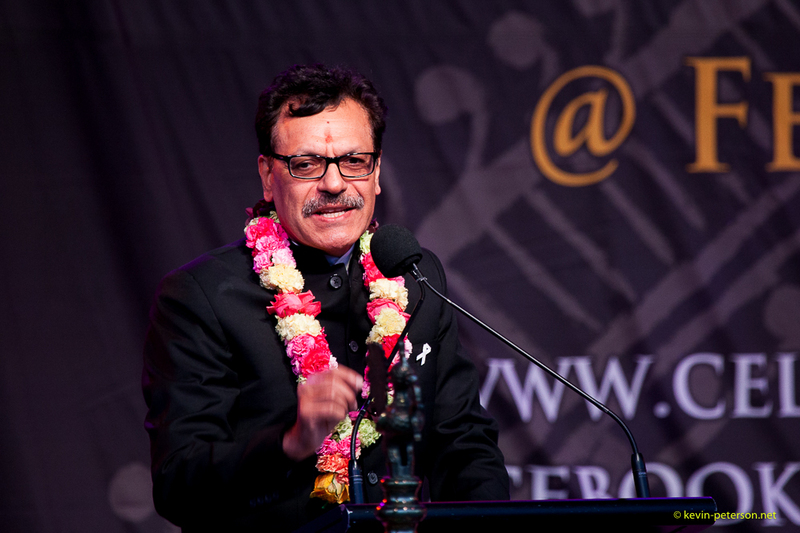 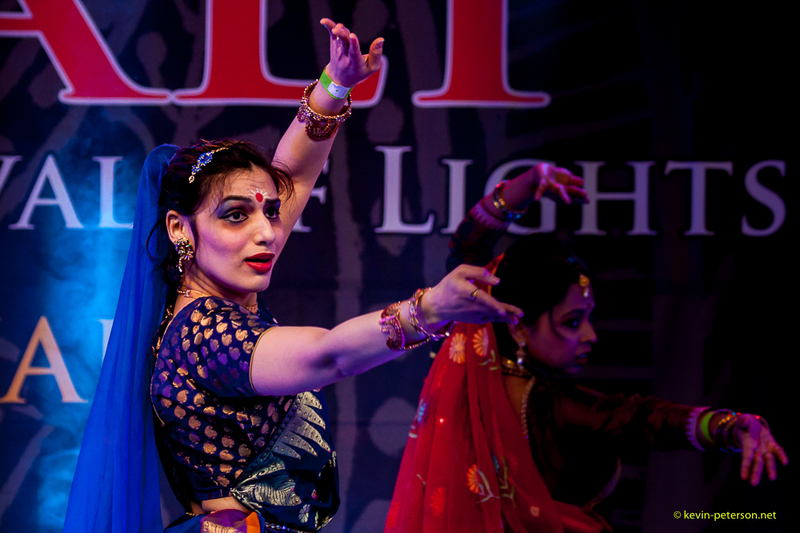 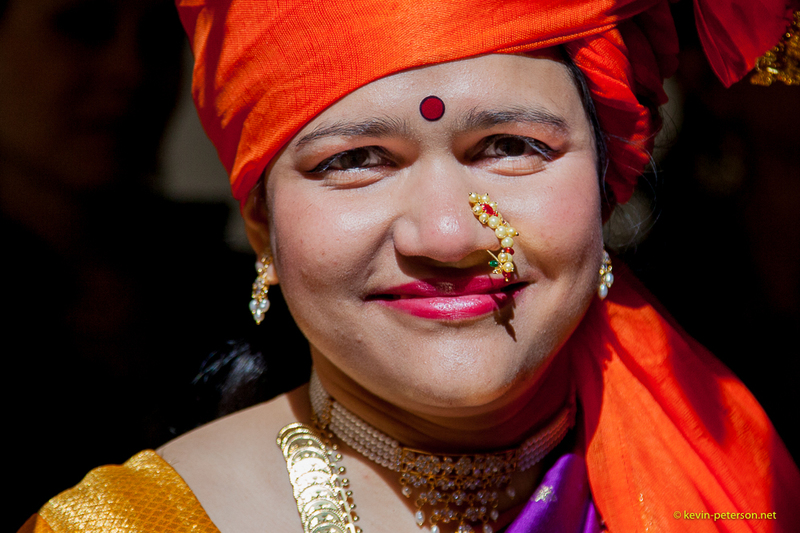 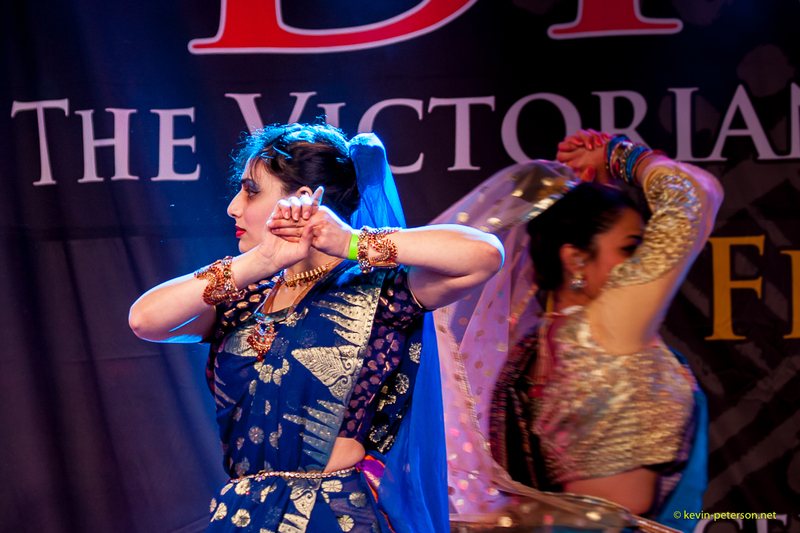 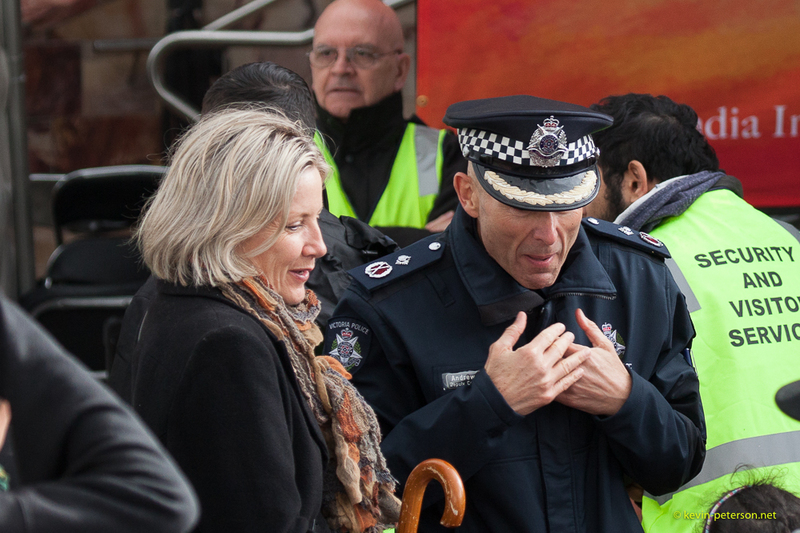 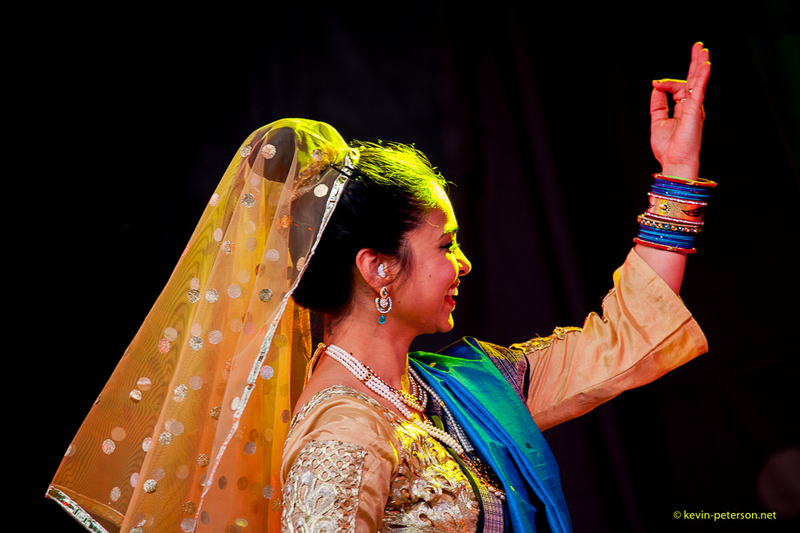 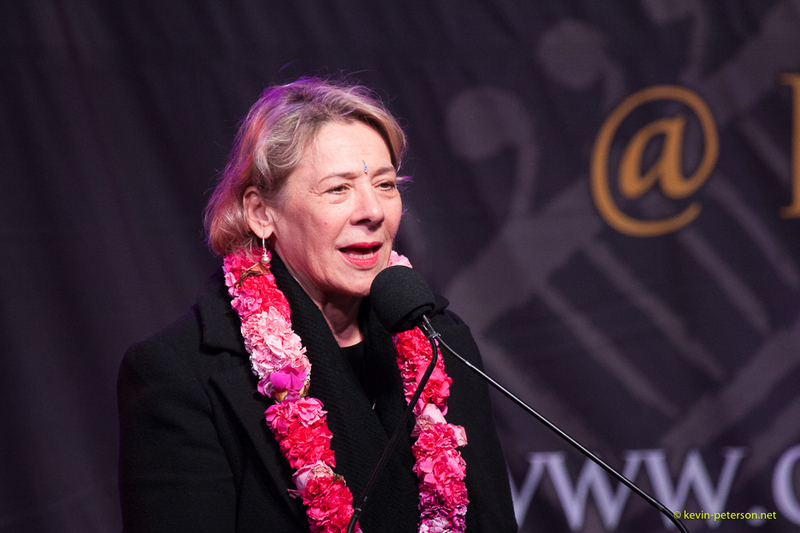 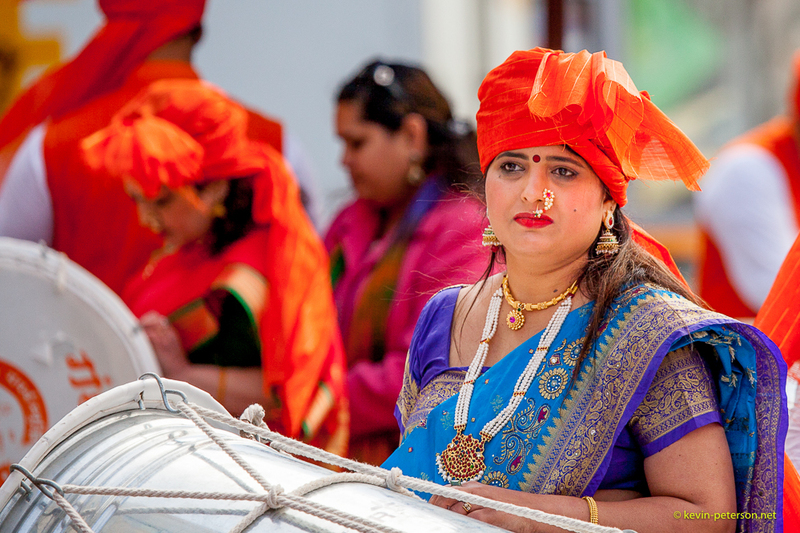 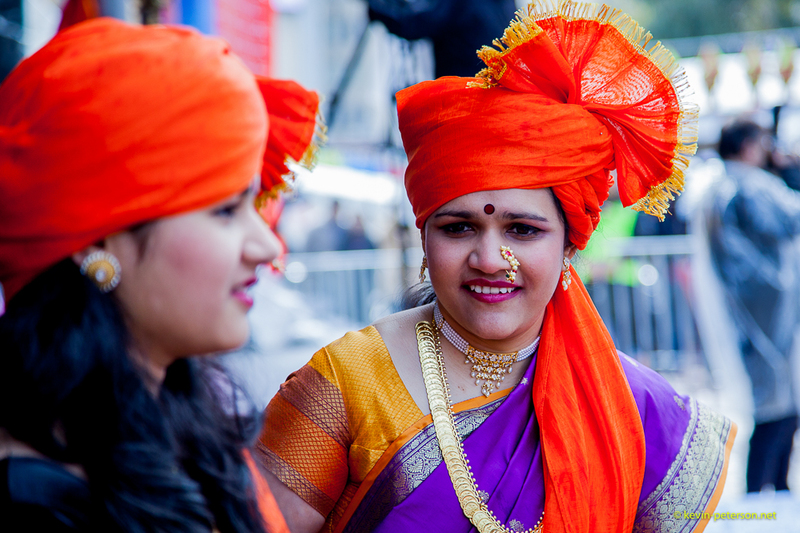 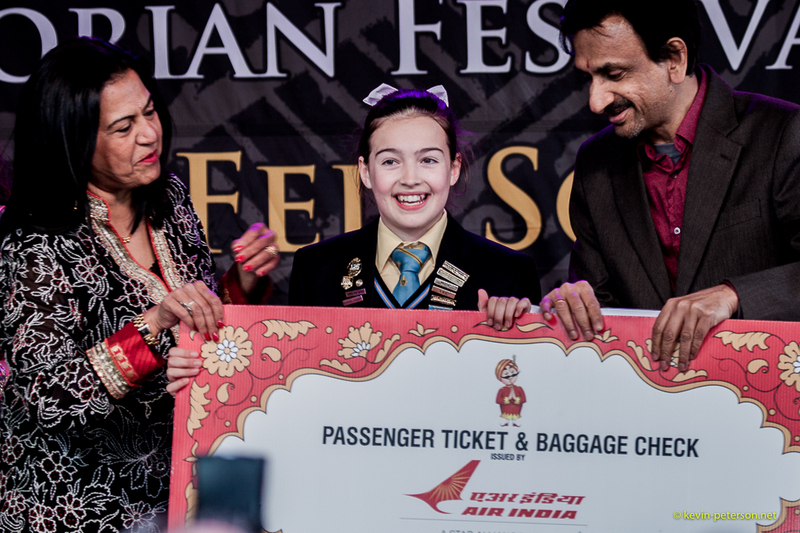 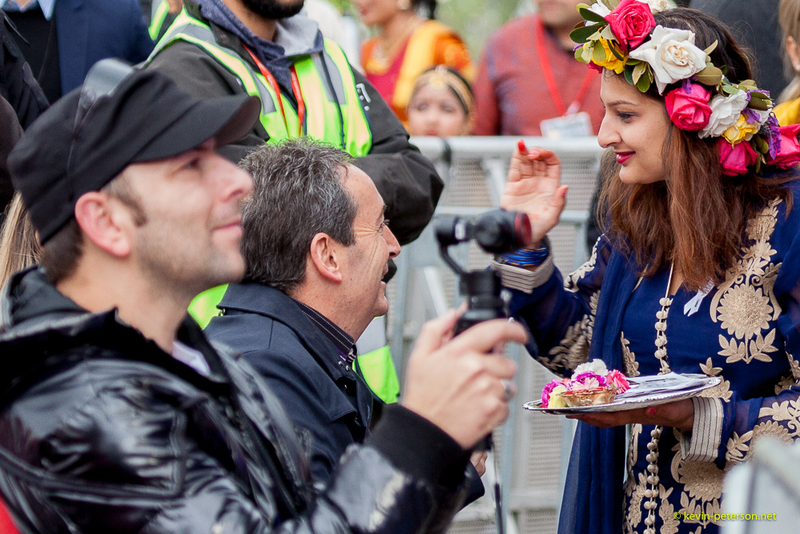 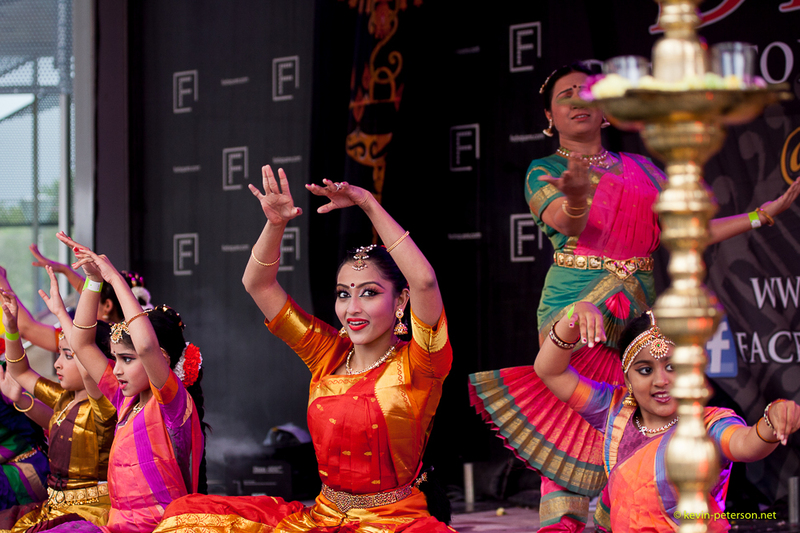 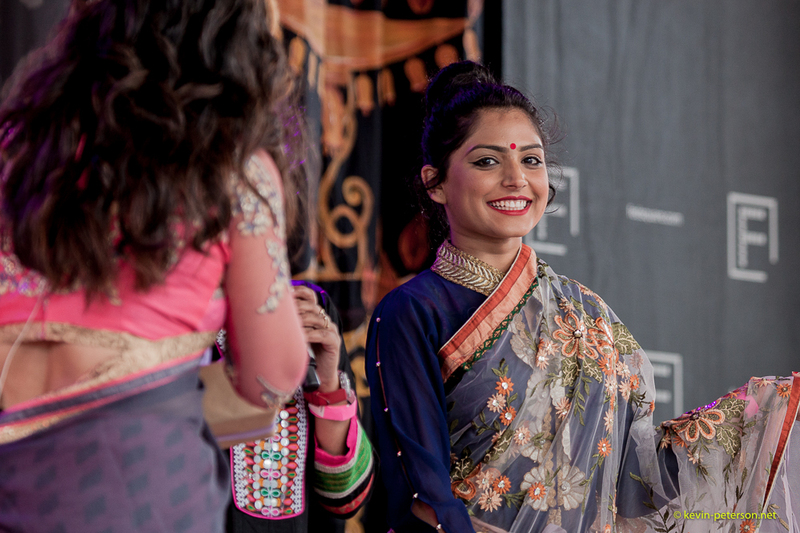 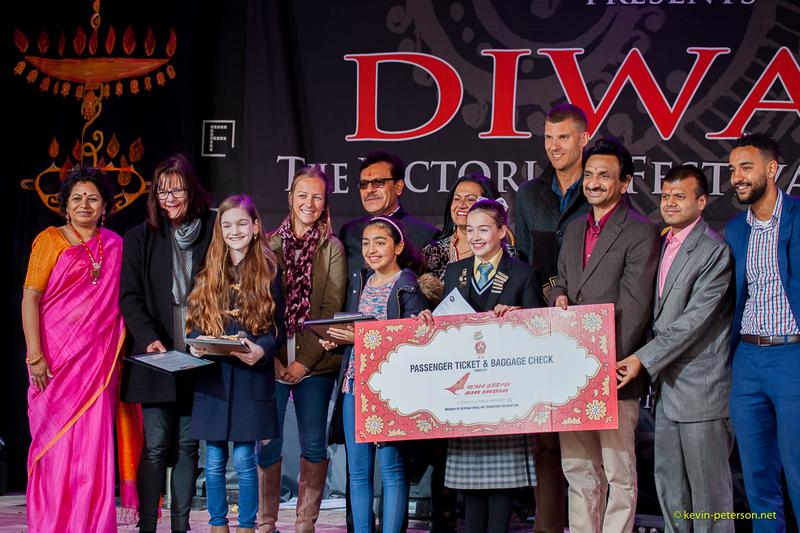 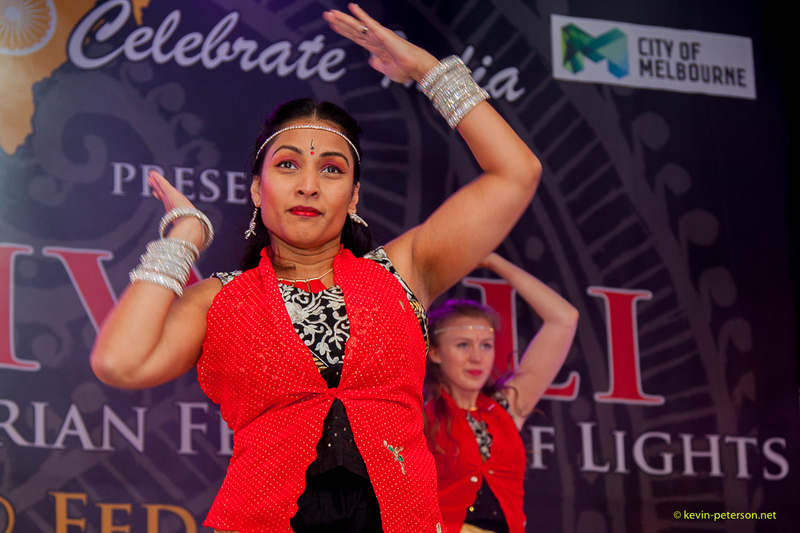 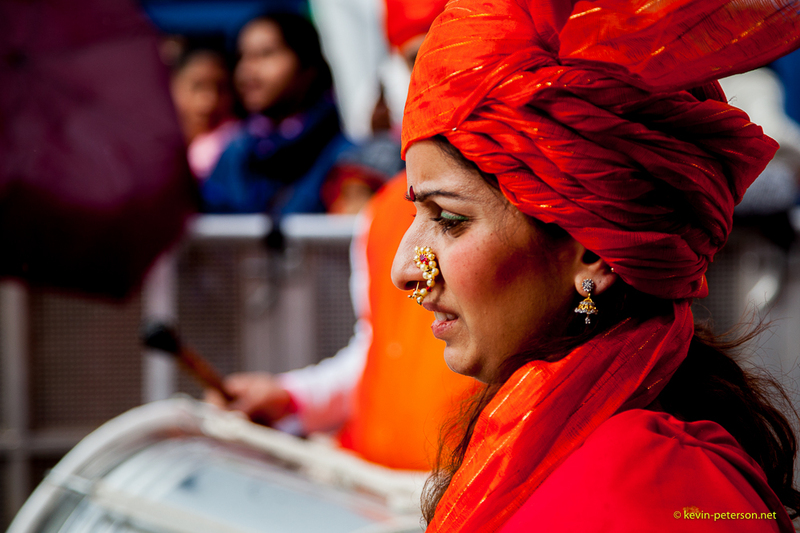 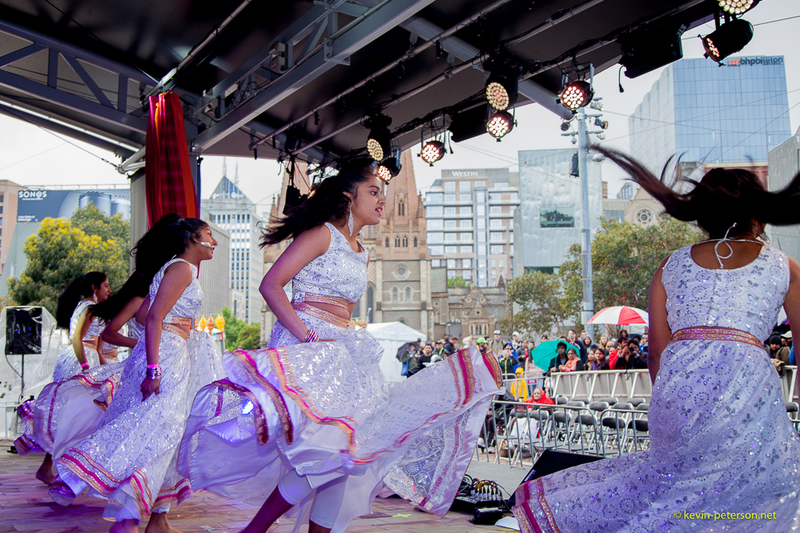 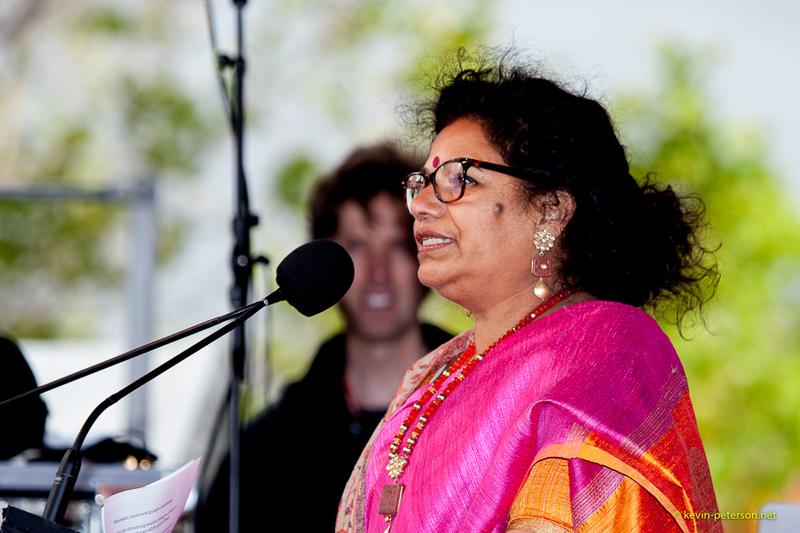 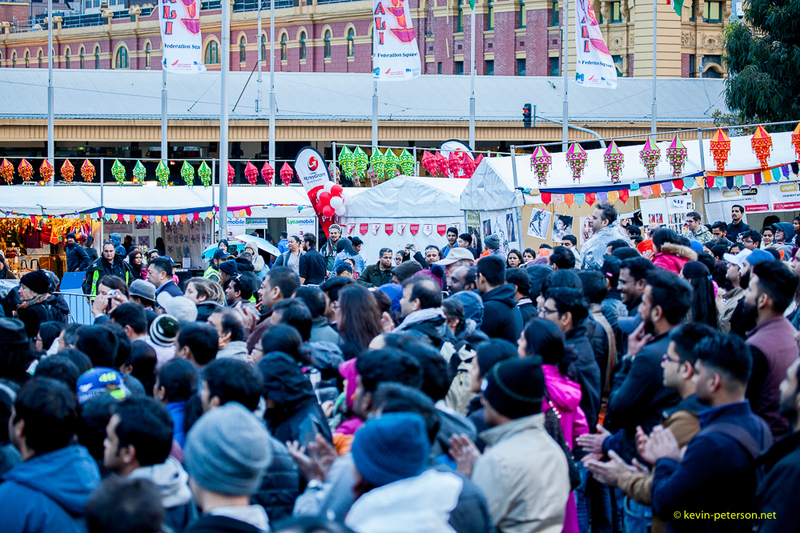 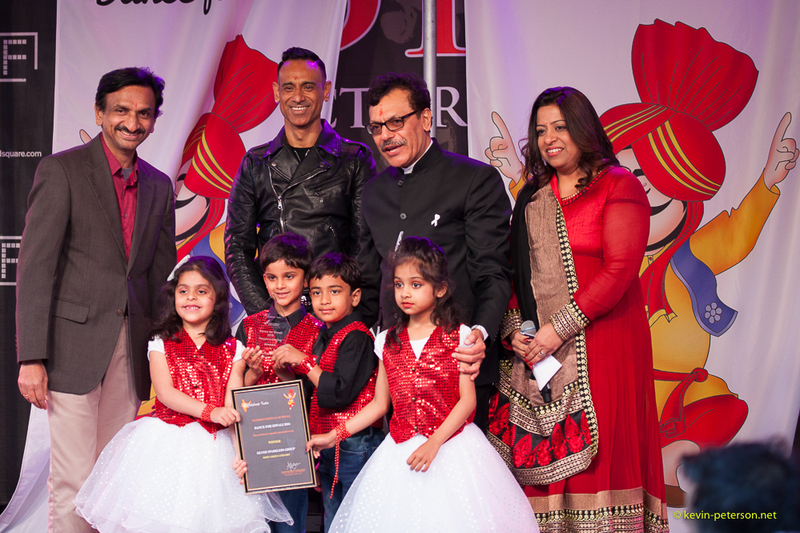 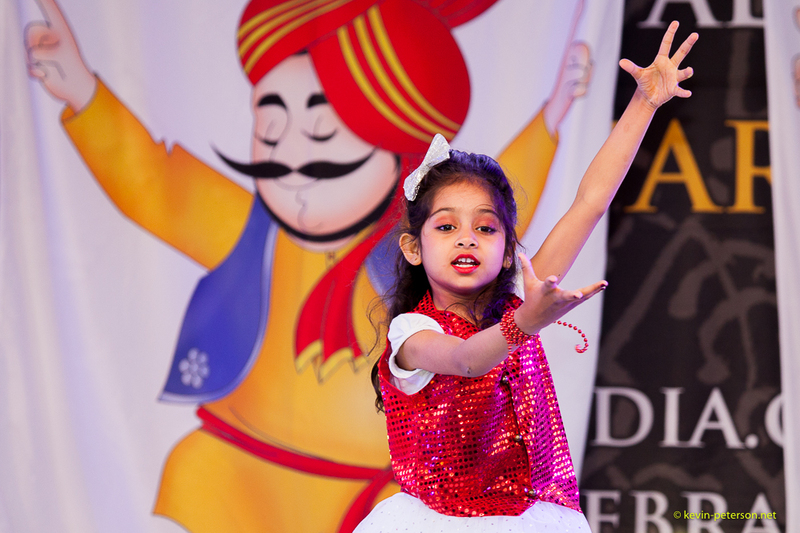 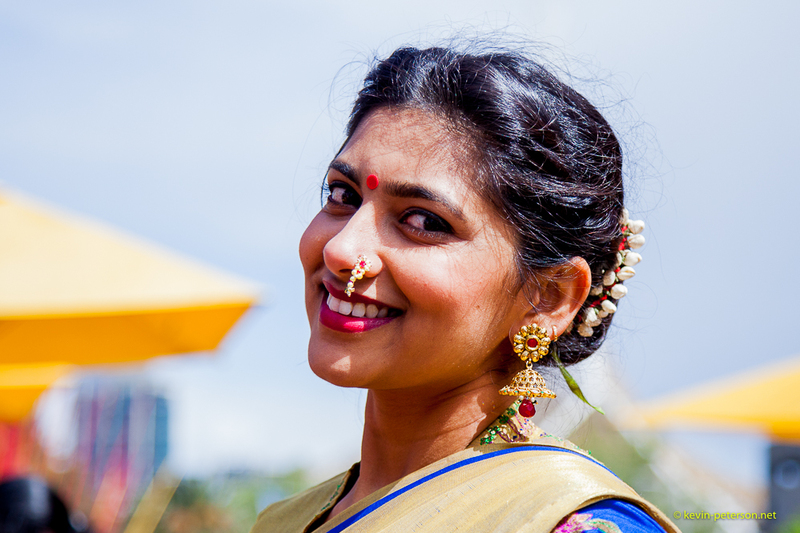 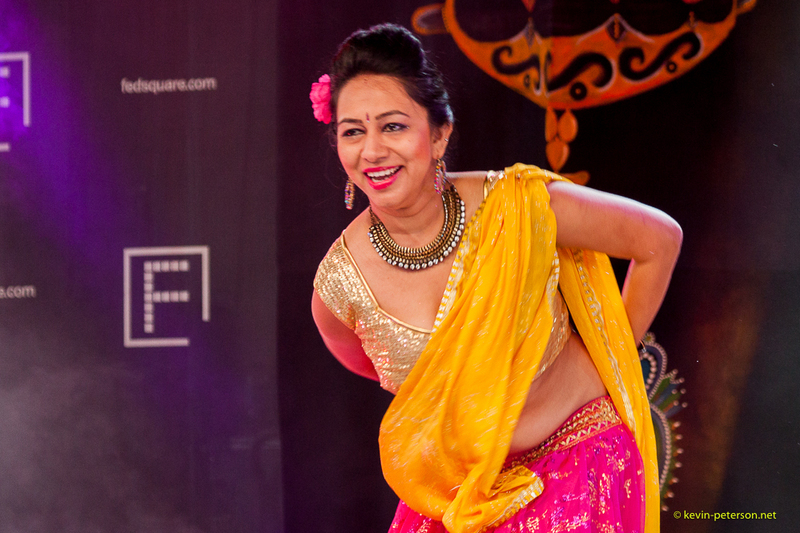 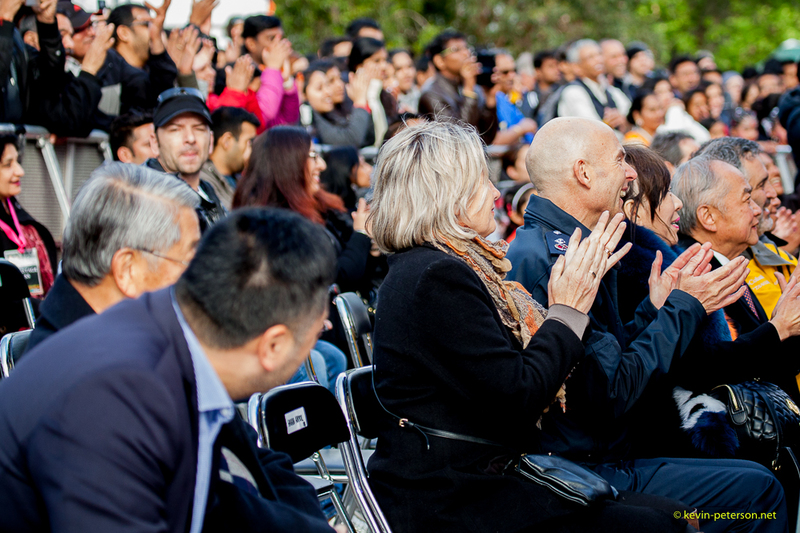 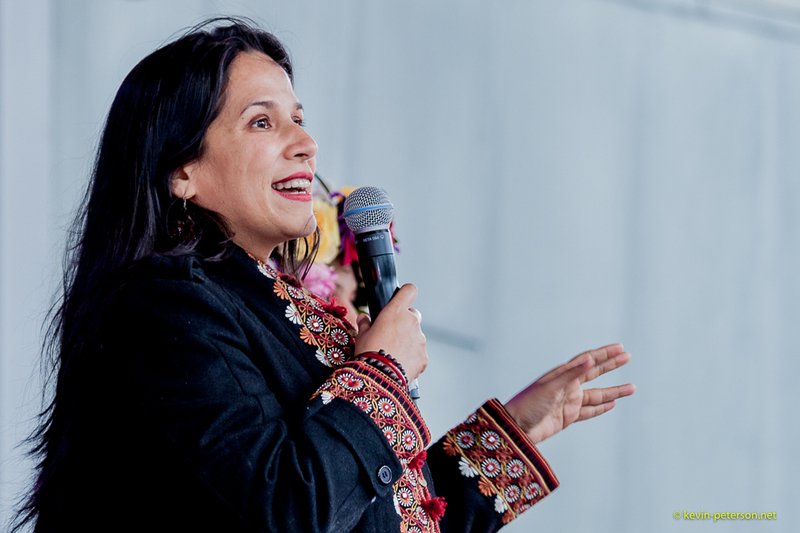 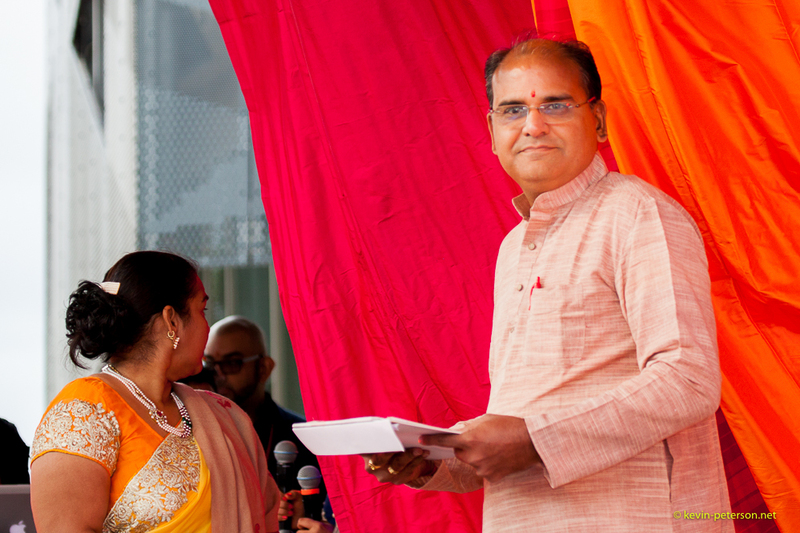 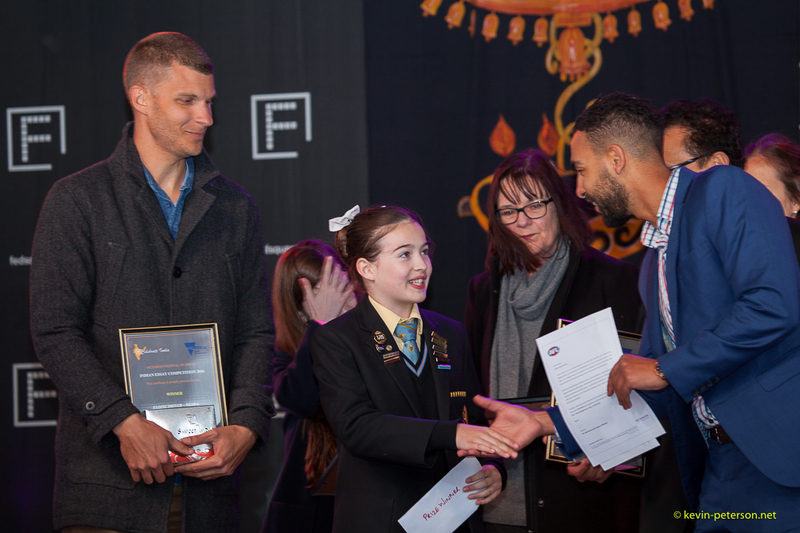 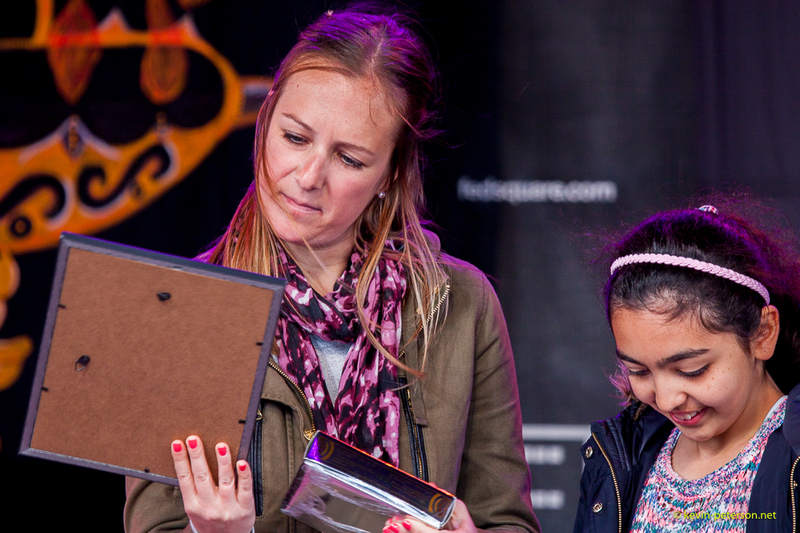 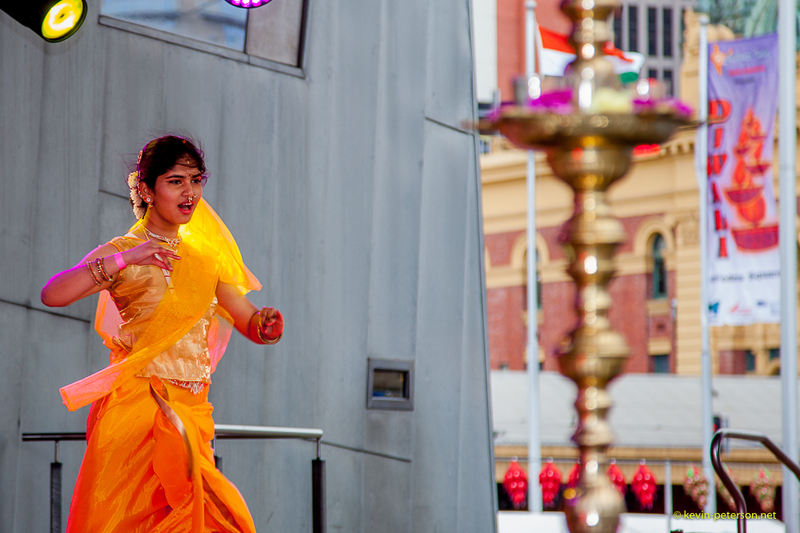 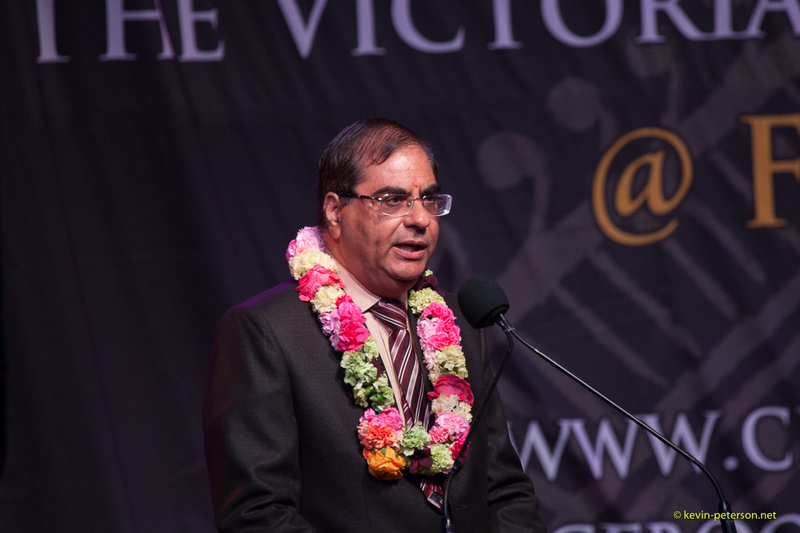 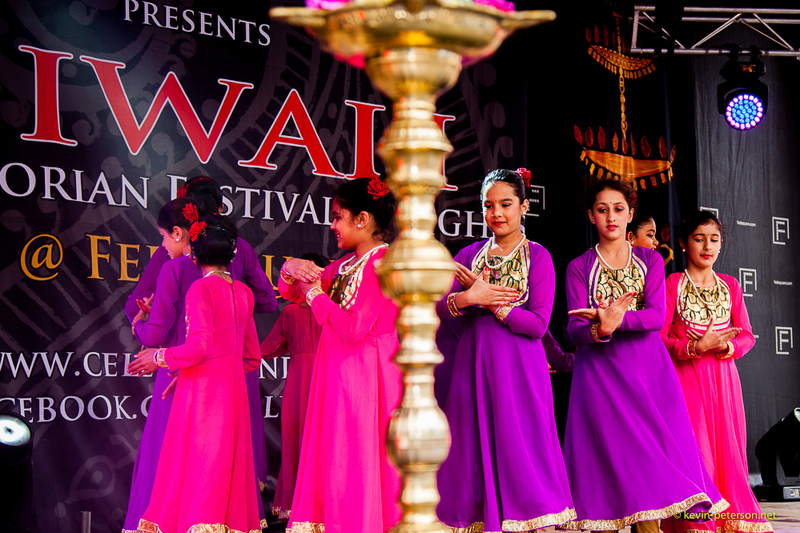 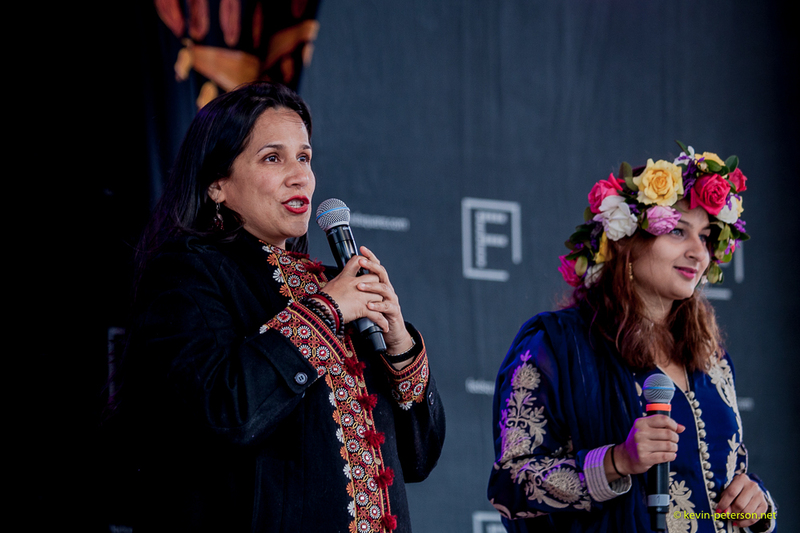 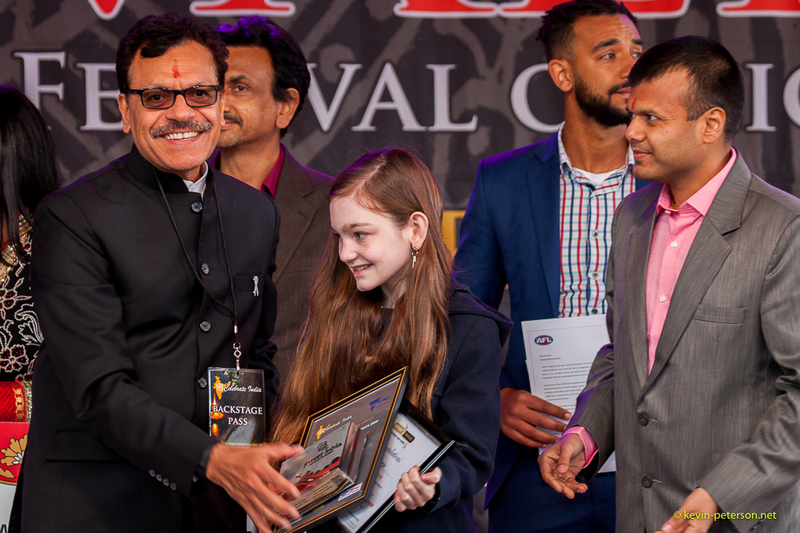 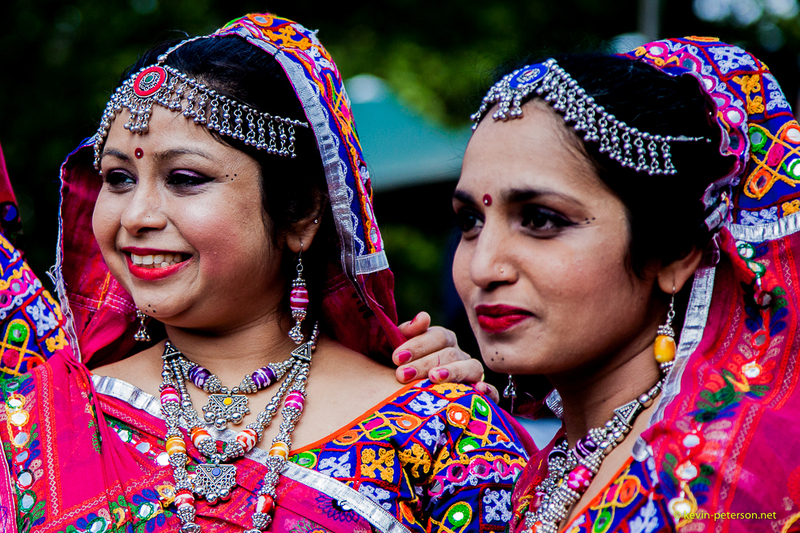 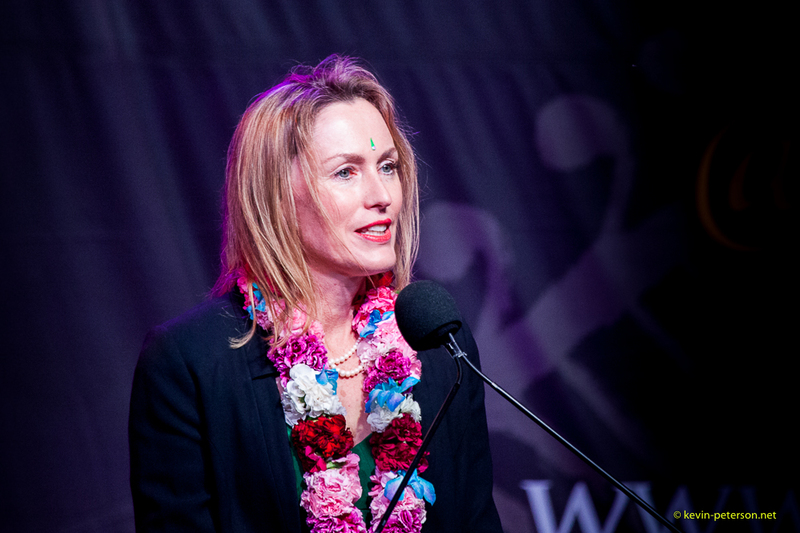 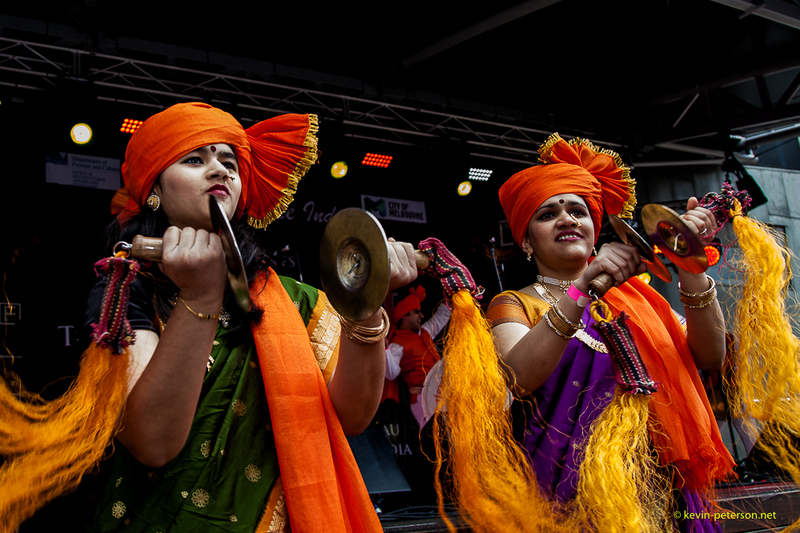 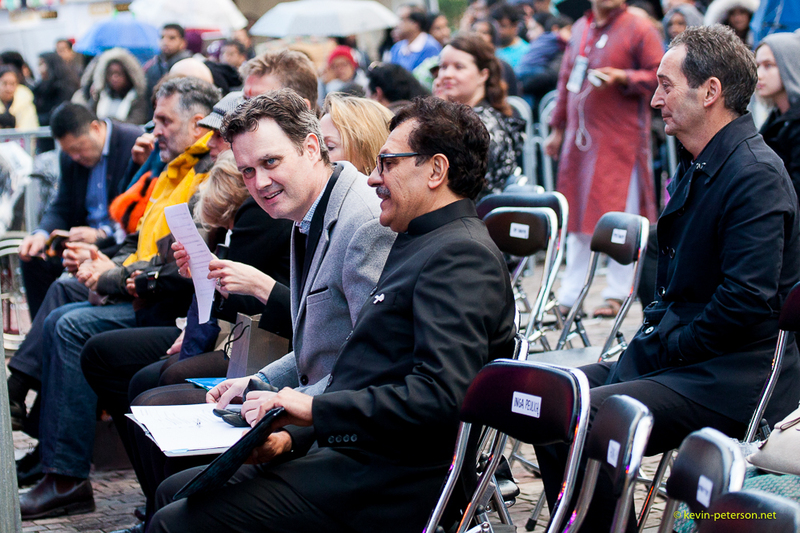 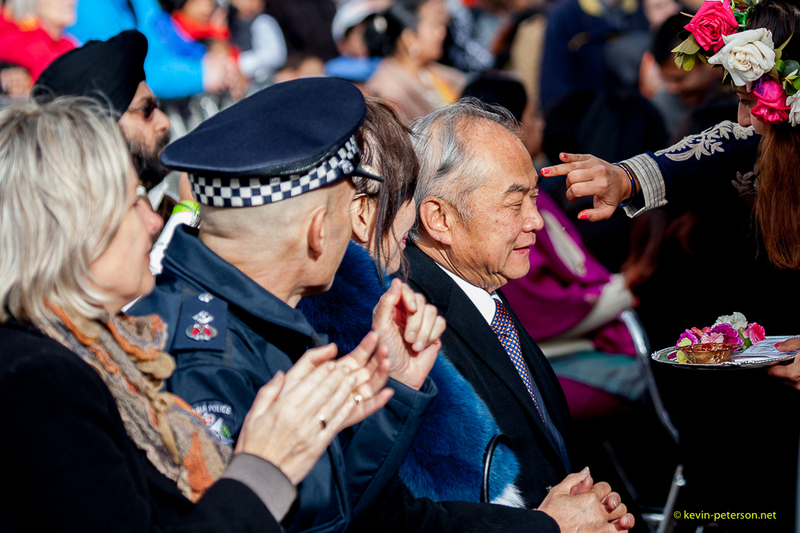 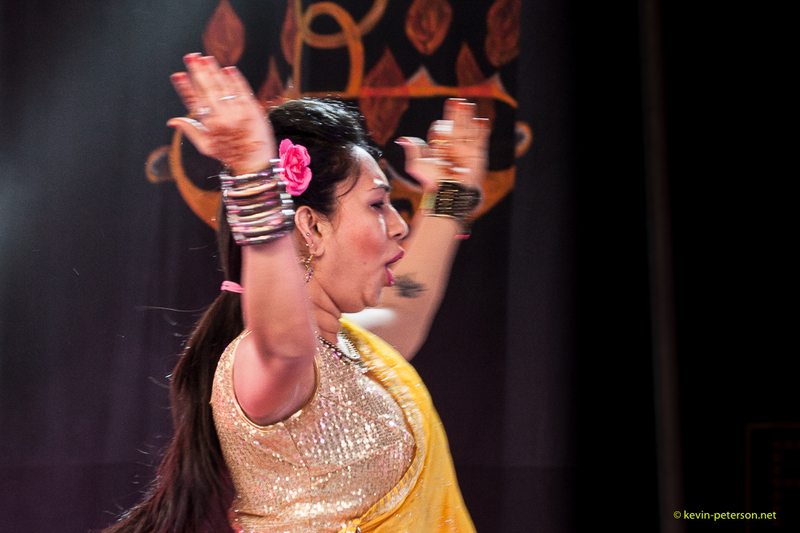 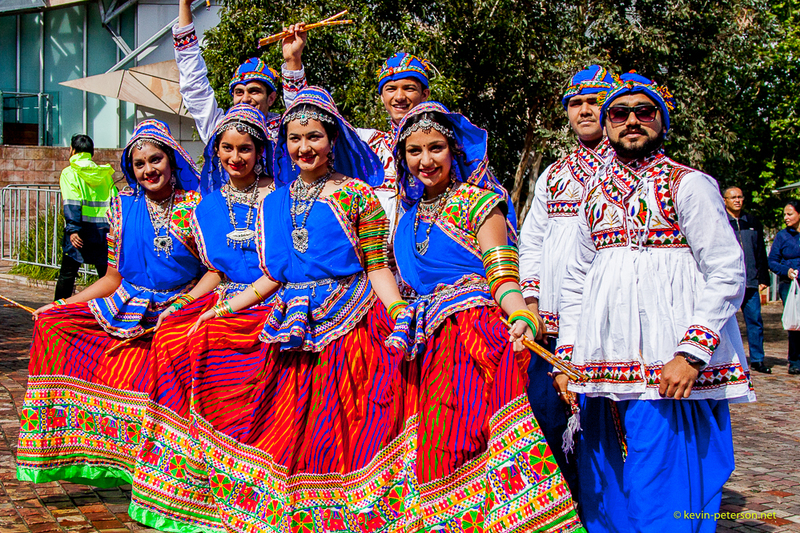 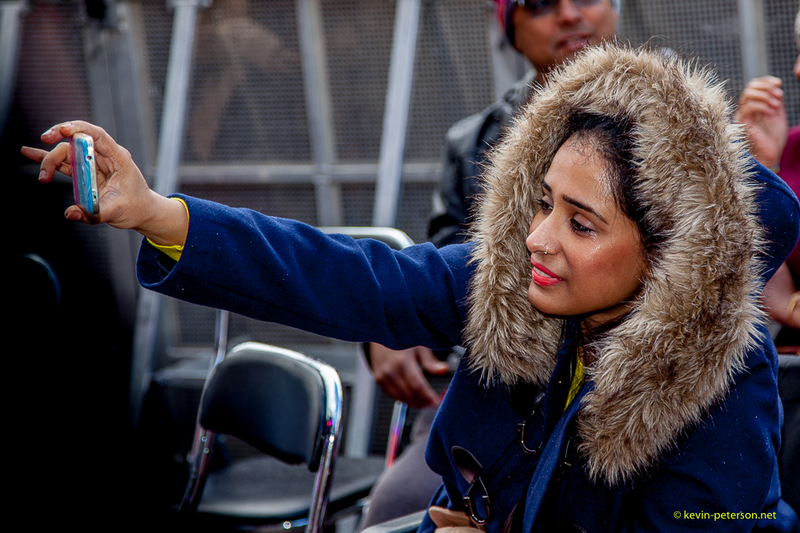 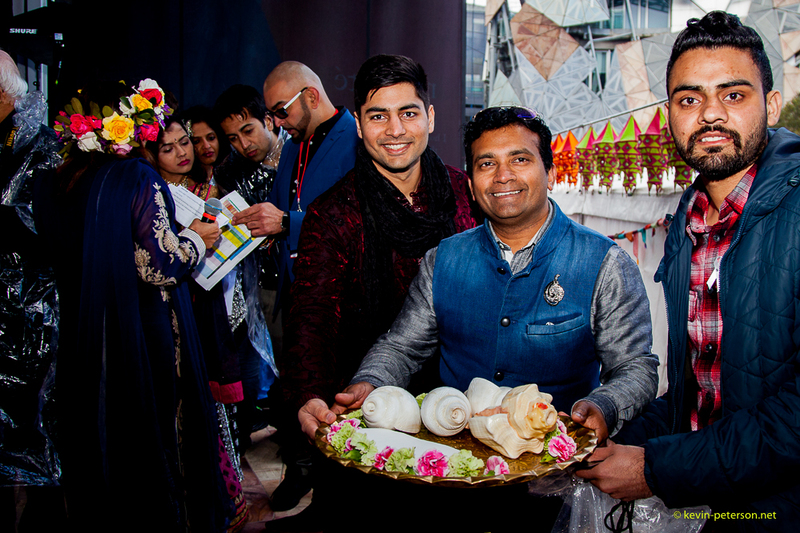 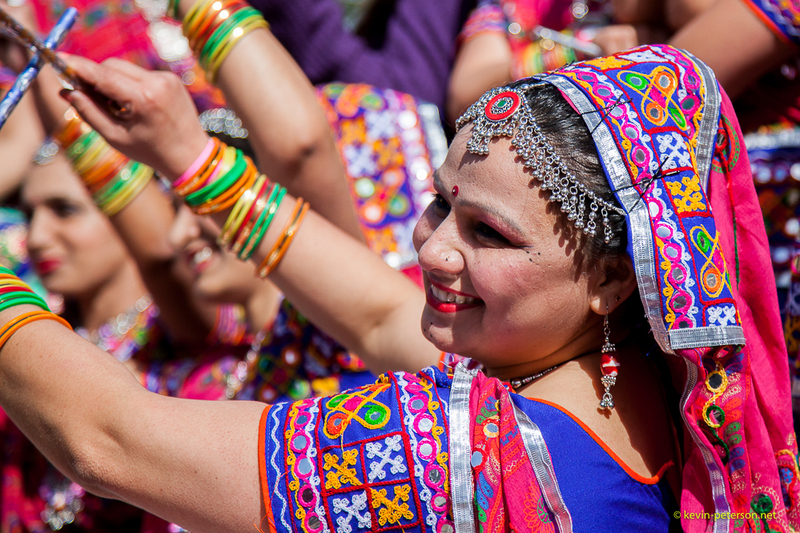 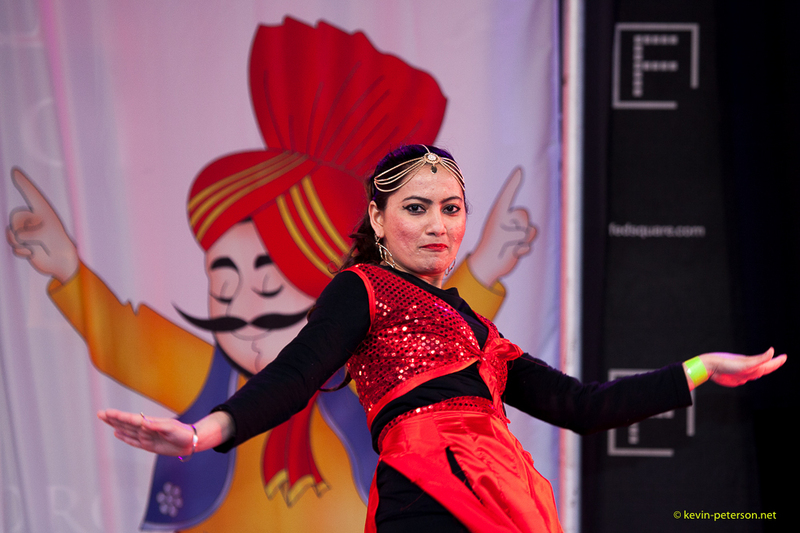 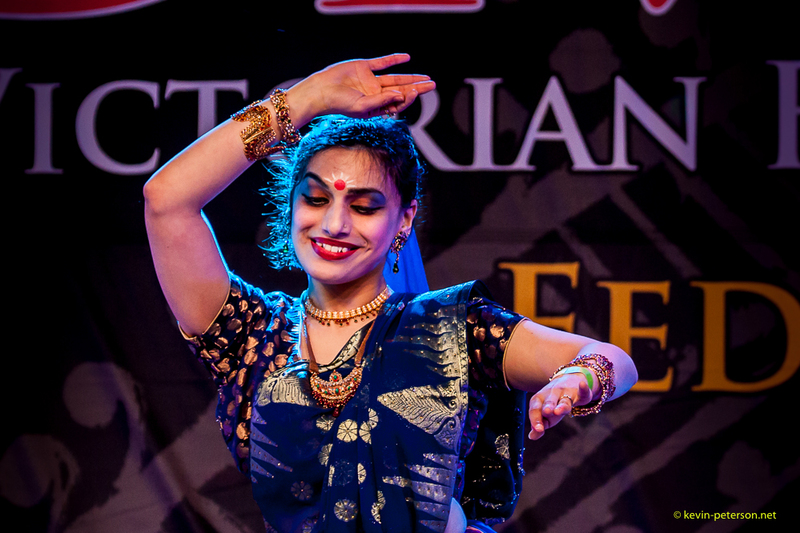 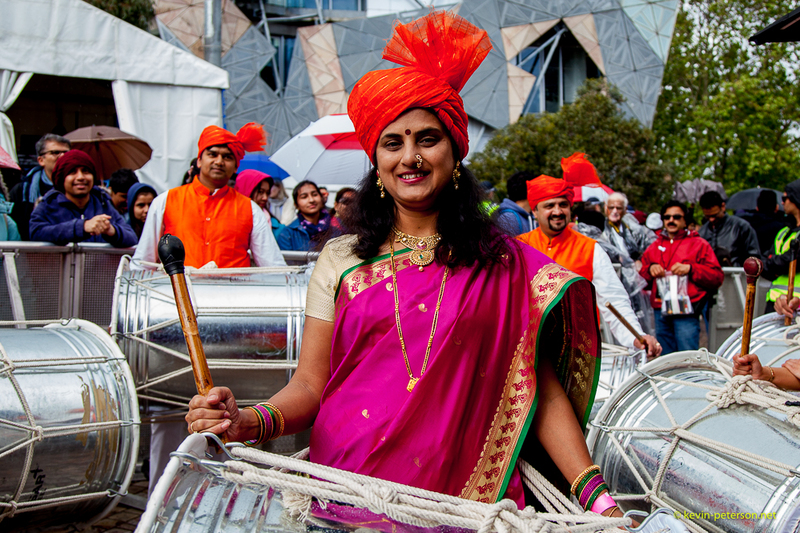 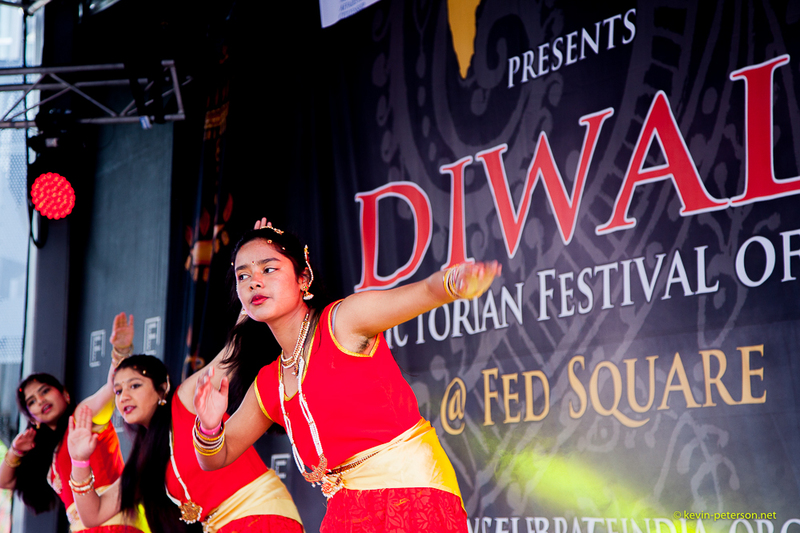 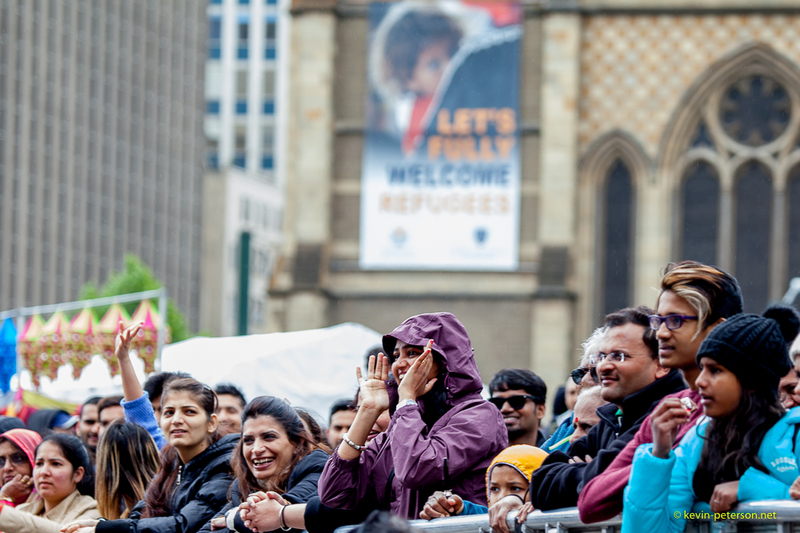 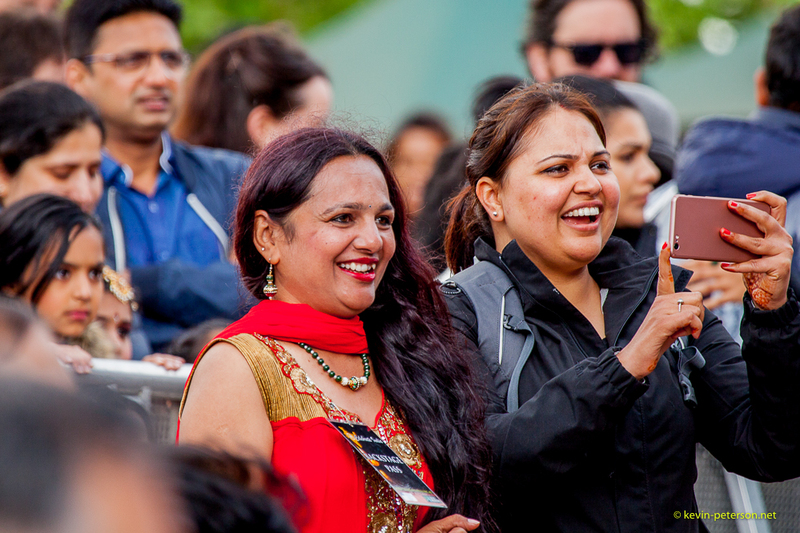 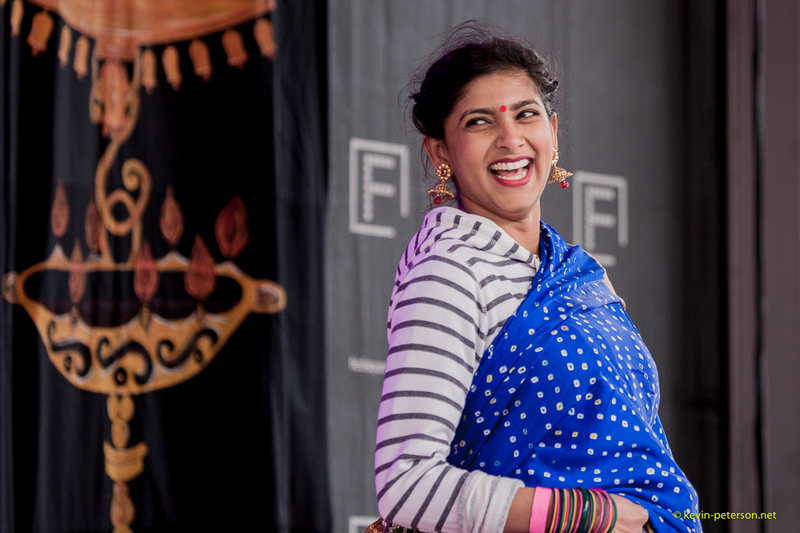 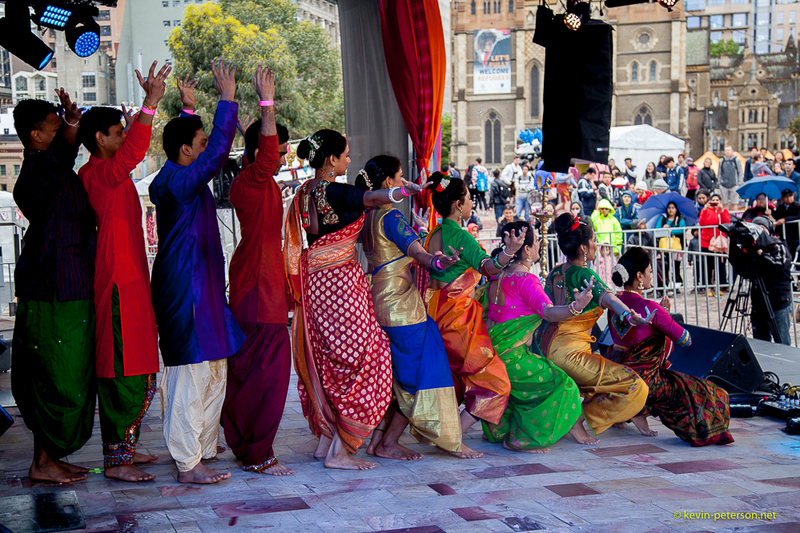 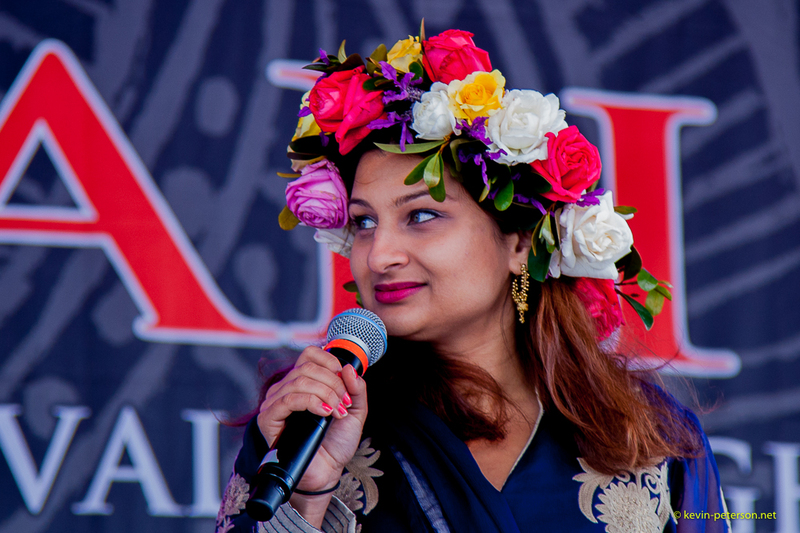 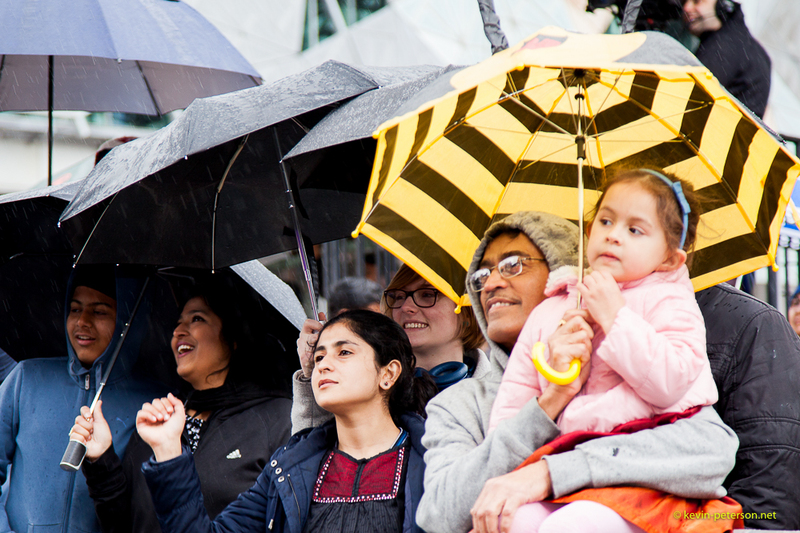 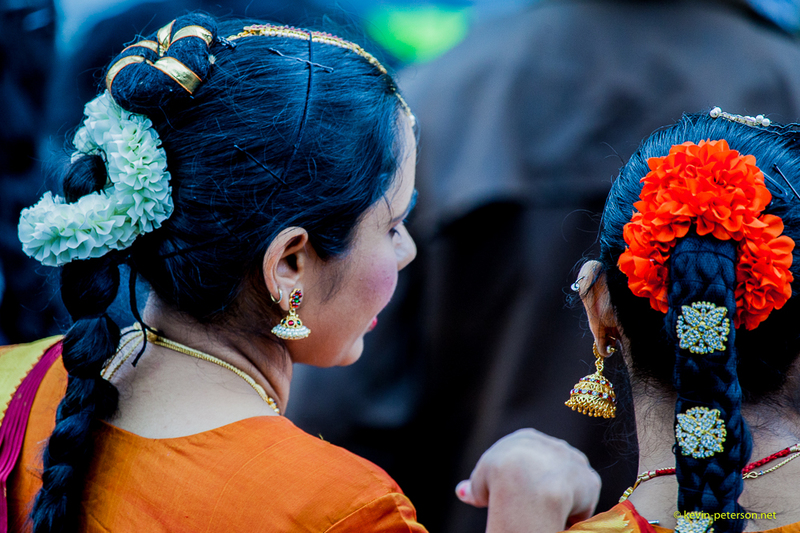 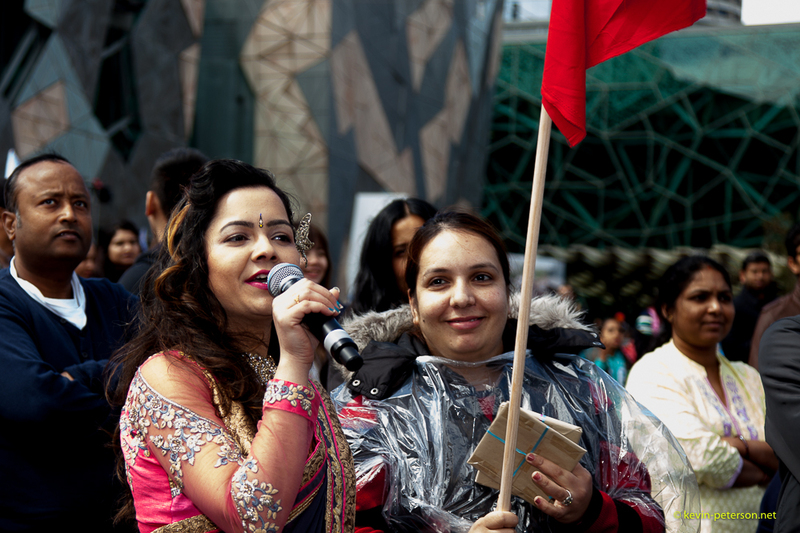 The rain played a major role in attendance at this year’s Indian Diwali Festival at Federation Square, Melbourne, Australia. 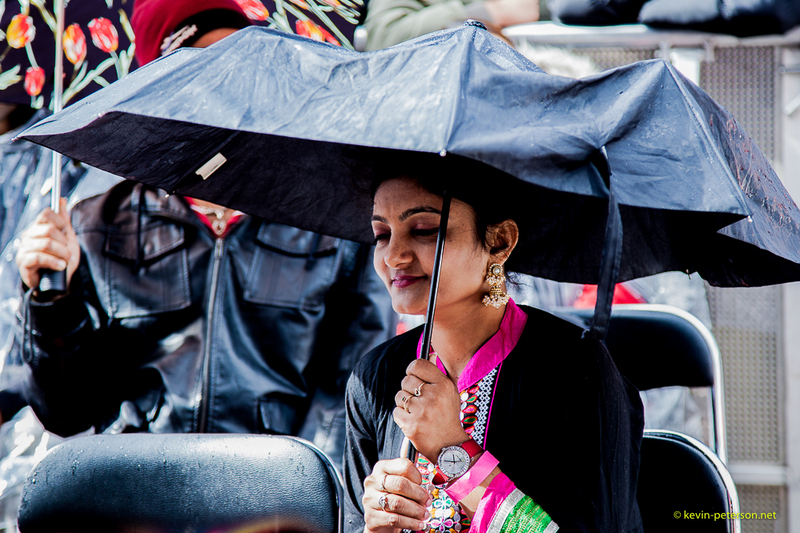 It not only rained on and off during the festivities, but was cold and windy, with bright sunlight occasionally breaking through the clouds. 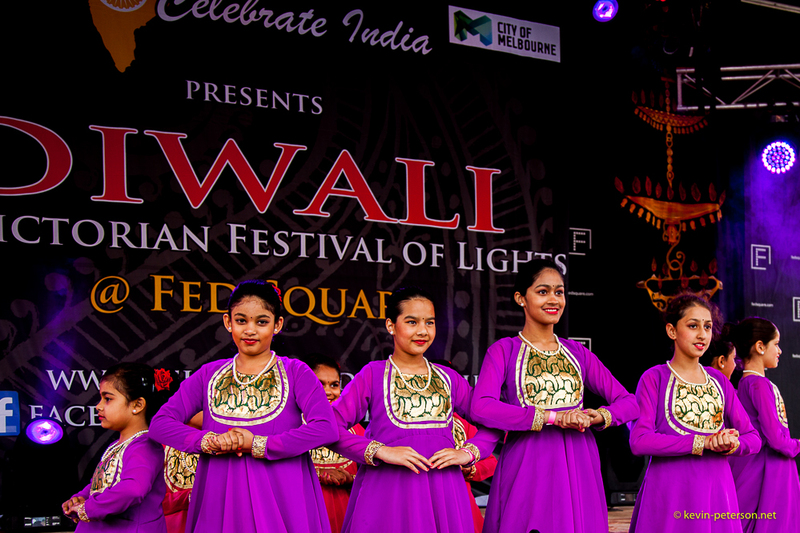 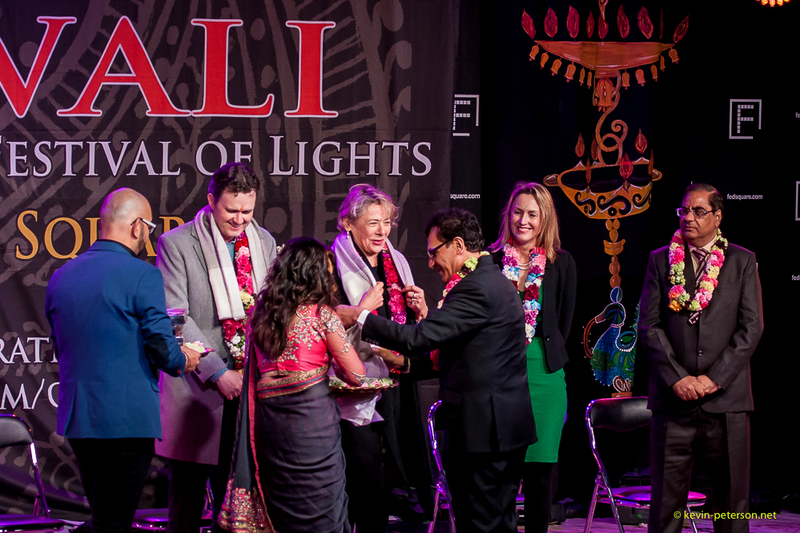 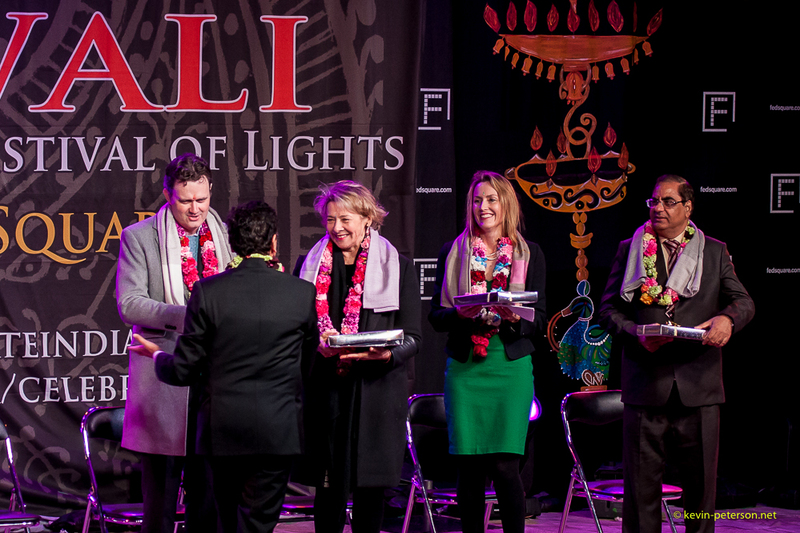 Diwali, also known as the ‘Festival of Lights’ is one of the world’s four major festivals celebrated not only in India, but all around the world. 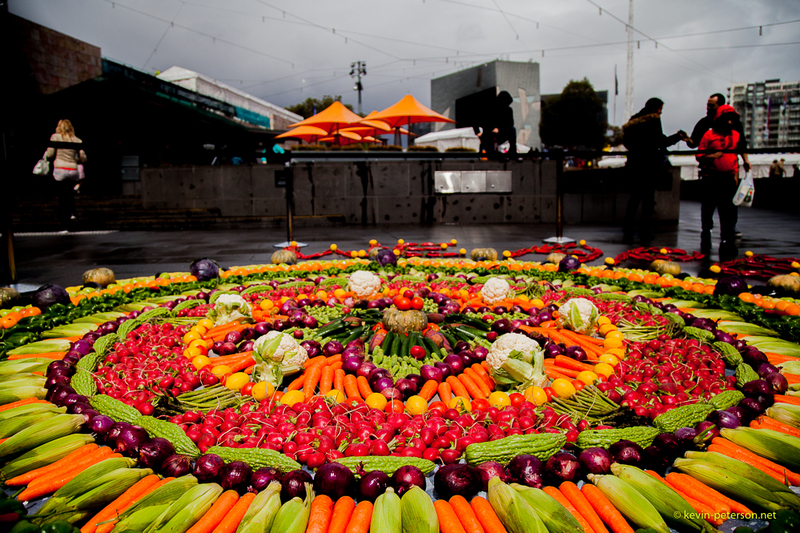 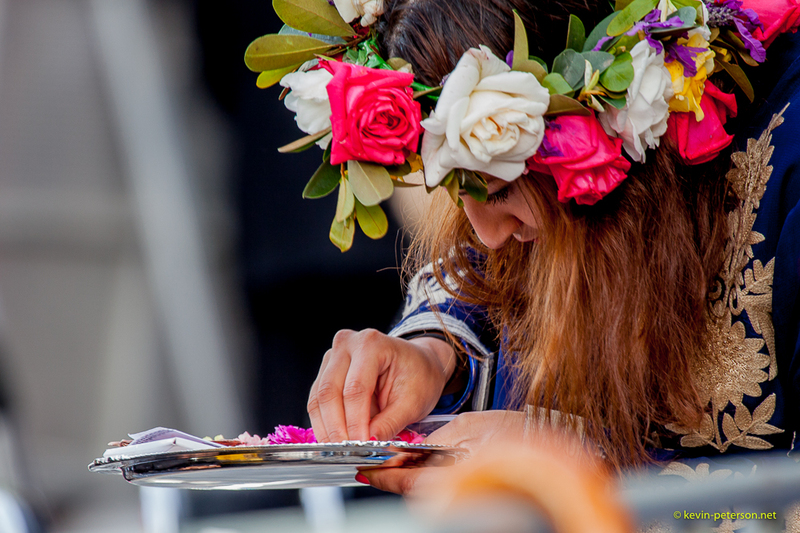 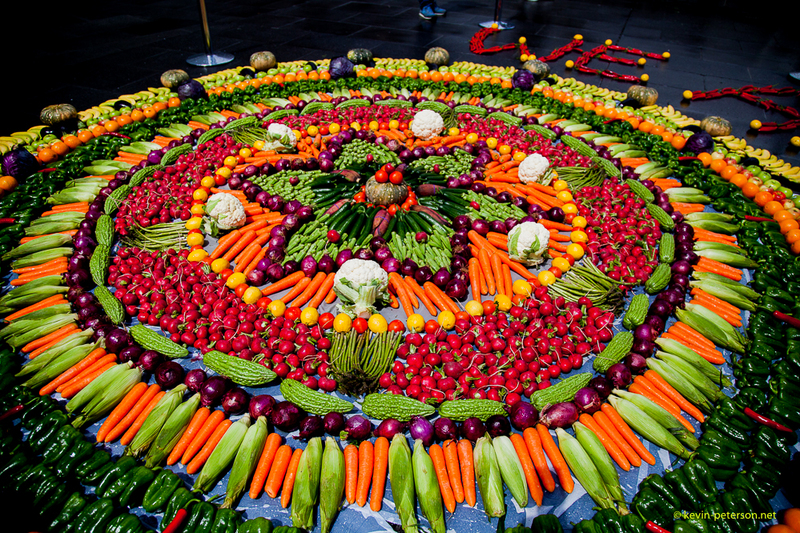 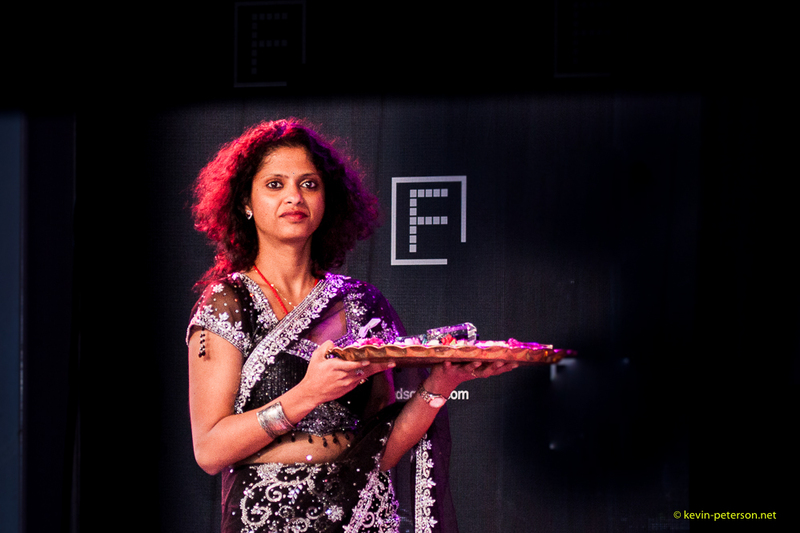 The Rangoli design took on a new feature this year, created completely with vegetables.